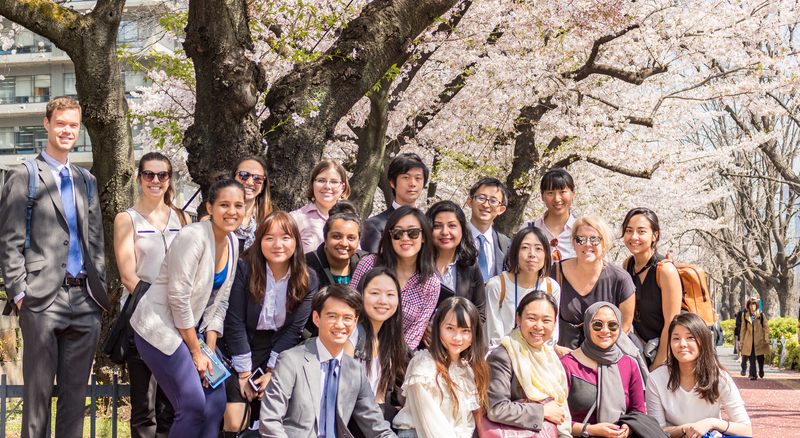 Students from the UCLA Luskin trip pause in Tokyo with blooming cherry blossom trees, or sakura, as a backdrop. 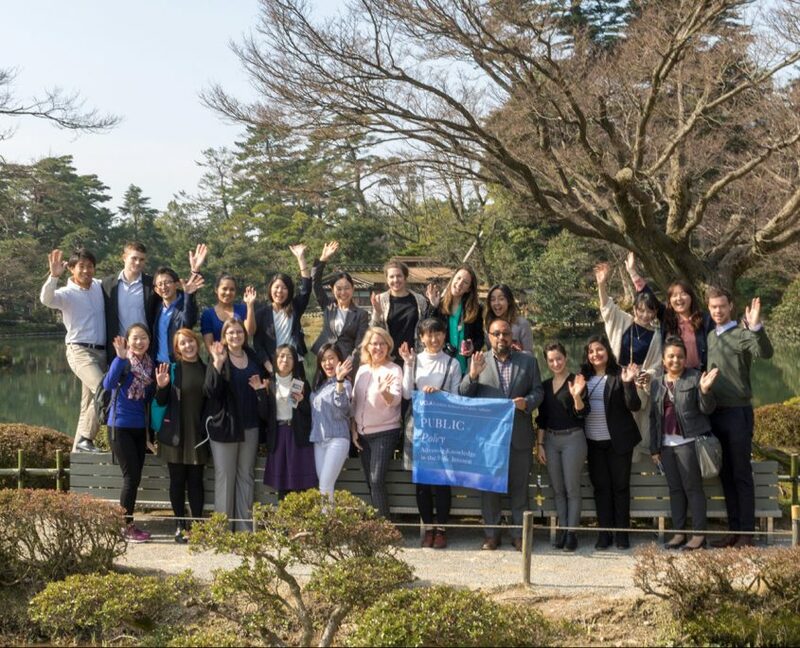 For the seventh consecutive year, a large group of students from UCLA Luskin traveled to Japan together for a whirlwind study trip to multiple cities. 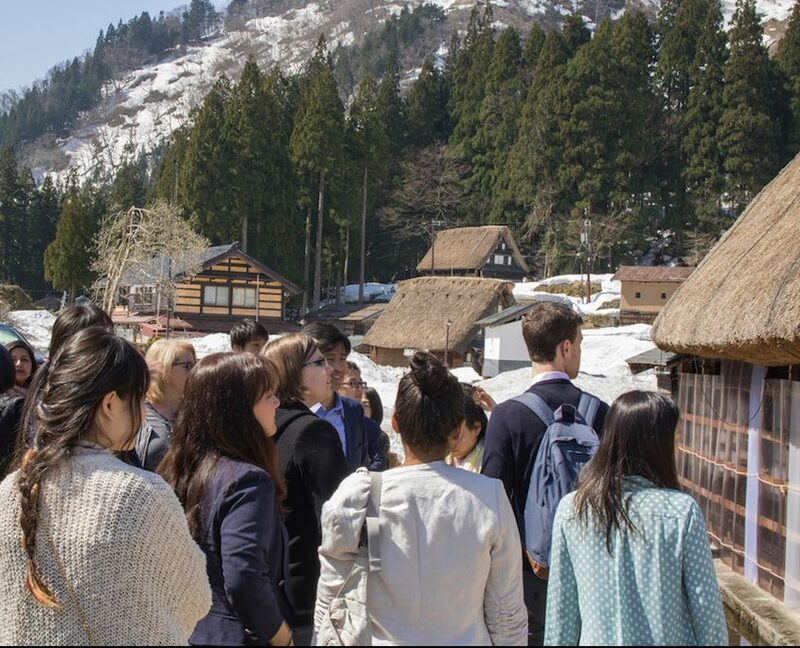 The participants, hosted by their peers from Japan, spent their entire spring break in the country, meeting with numerous Japanese officials to gain a deeper understanding of the country’s history, its culture, and the nation’s public policy successes and continuing challenges. 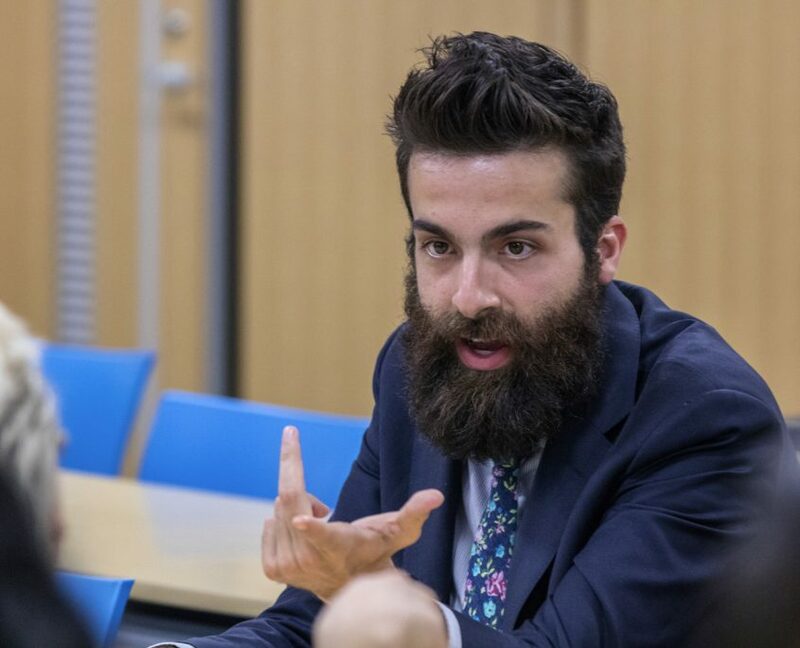 Most of the organizers are professionals who worked at Japanese government ministries before taking a leave to pursue graduate study overseas. 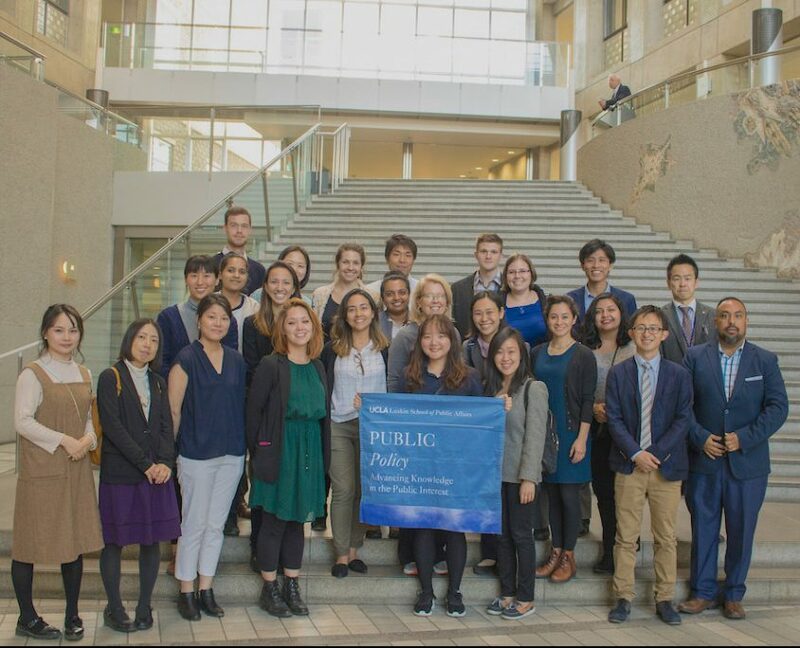 Of the 18 organizers, 13 were first-year Japanese students in the Master of Public Policy program. Prior to the trip, the students held orientation and study sessions. During the trip, they learned together and built bonds of friendship. 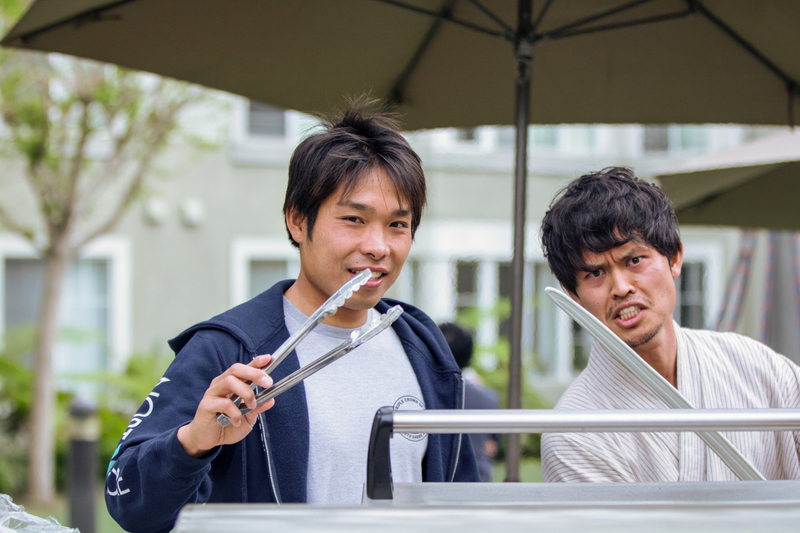 Afterward, they held a BBQ to share the experience with family and friends. 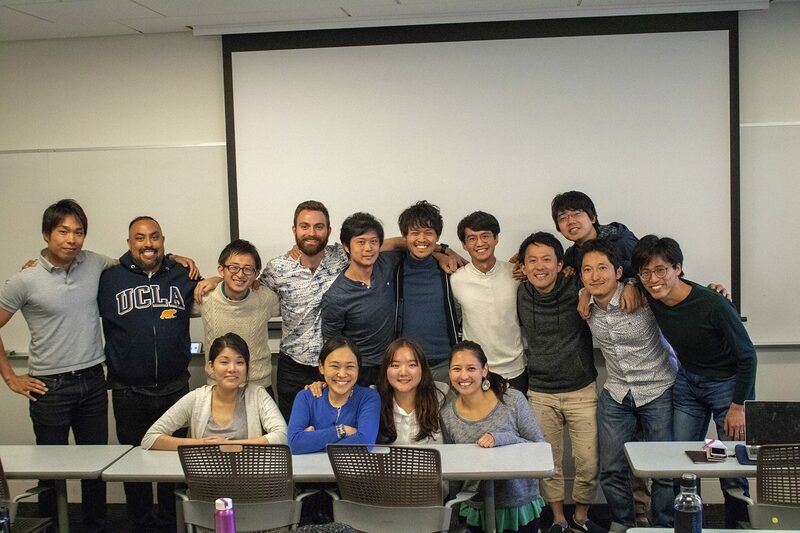 The UCLA Luskin students wrapped it all up in mid-May with a presentation to their funding partners and publication of an 80-page report that is an engaging mix of educational information, policy analysis, cultural observations and favorite travel memories. 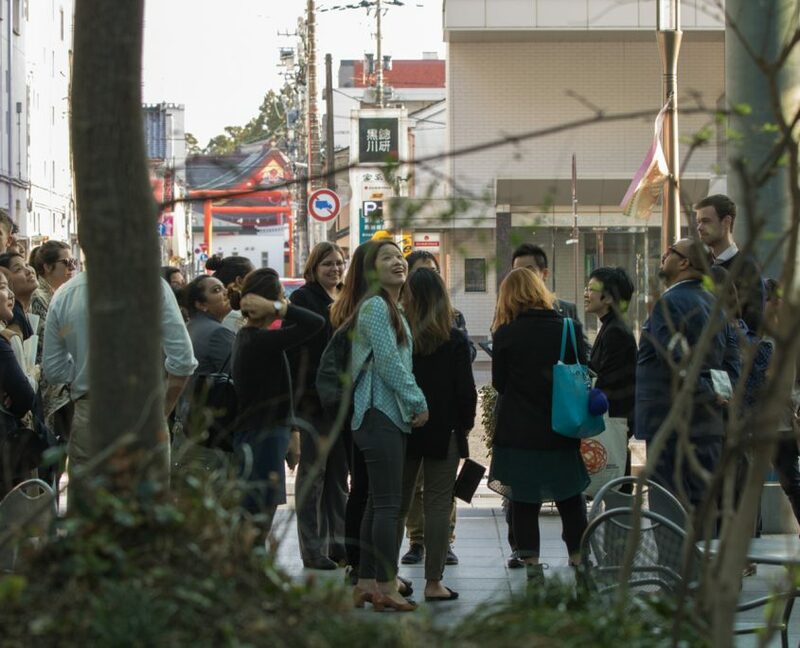 The trip began with participants gathering over the weekend of March 24-25 in Kyoto, where they met with city officials and visited cultural sites. 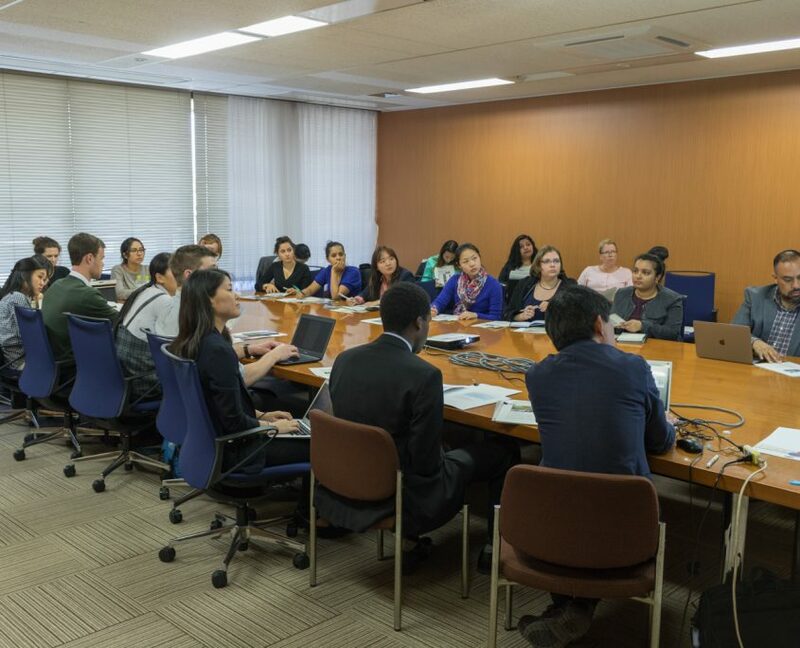 The students then split into two teams with differing missions that traveled separate routes for a few days on their way to reassembling in Tokyo on March 29 for three days of further study focused on a handful of public policy topics. Or course, they also did some sightseeing. 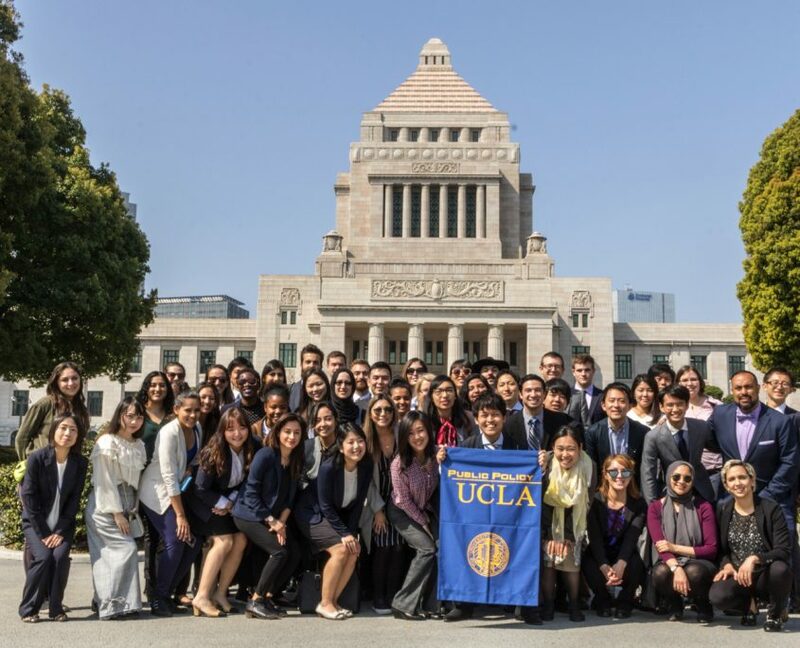 The Japan Trip originated in 2012 when Japanese students in UCLA Luskin Public Policy invited fellow students to visit in an effort to better understand the impact of the Great East Japan Earthquake in 2011. Since then, it has been an annual Luskin School event. It’s popular too — in 2017, 42 UCLA students participated; this year, it was 50. 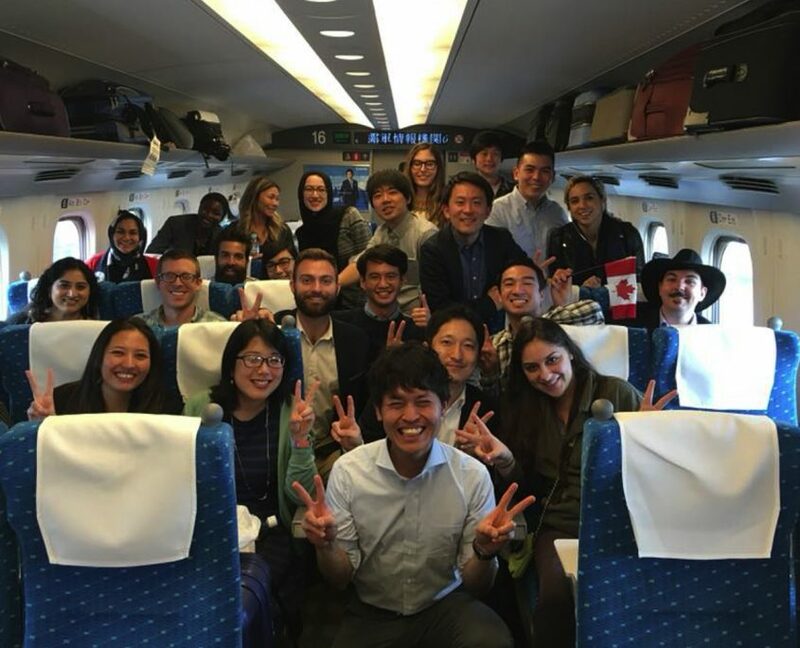 Like McFarland, most participants view the Japan Trip as a highlight of their educational experience because it provides a fun and enlightening opportunity to study policy and experience the country’s culture, all under the expert guidance of Japanese classmates. 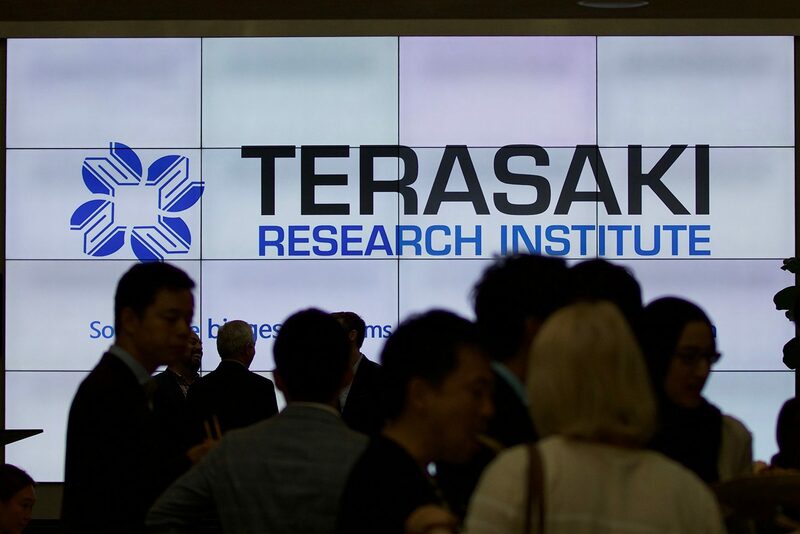 Since its inception, the trip has been funded in part by the Terasaki Family Foundation, which carries on the legacy of founder Paul I. Terasaki, a former UCLA researcher prior to his death in 2016. Additional support from the UCLA Luskin Dean’s Office and the departments of Public Policy and Social Welfare allows students to participate in the trip at low cost. This year, the average cost per participant was $1,130. 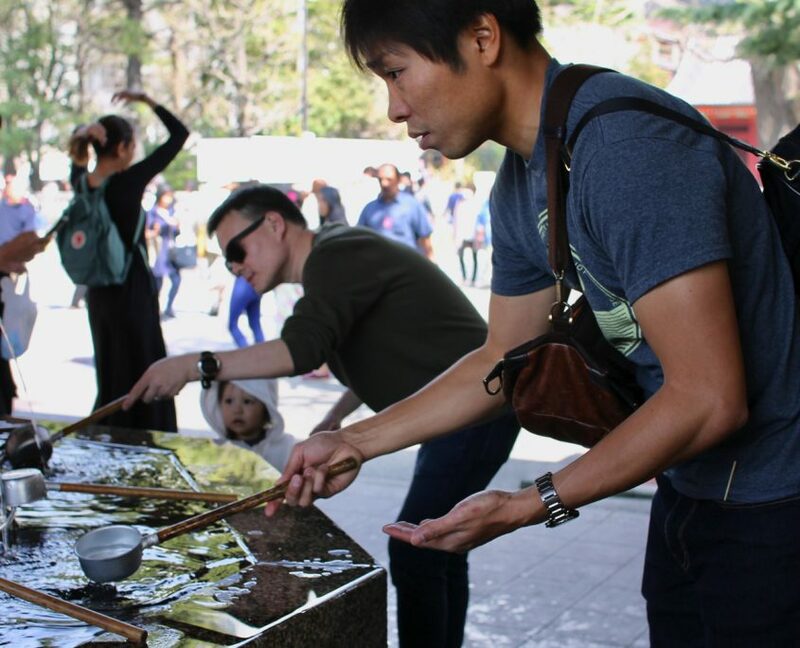 The experience involves more than just traveling to Japan. 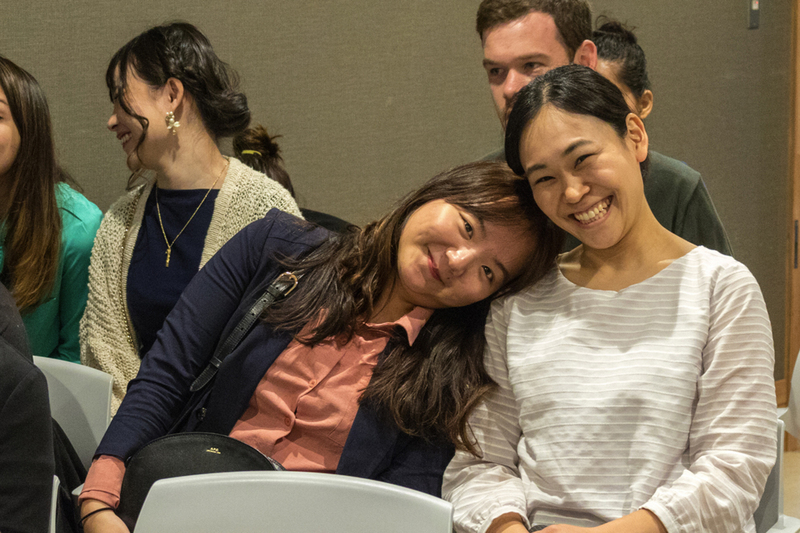 Participants also do research, study together, exchange cultural and policy insights, and participate in activities such as a BBQ with their loved ones, including some of the students’ children. 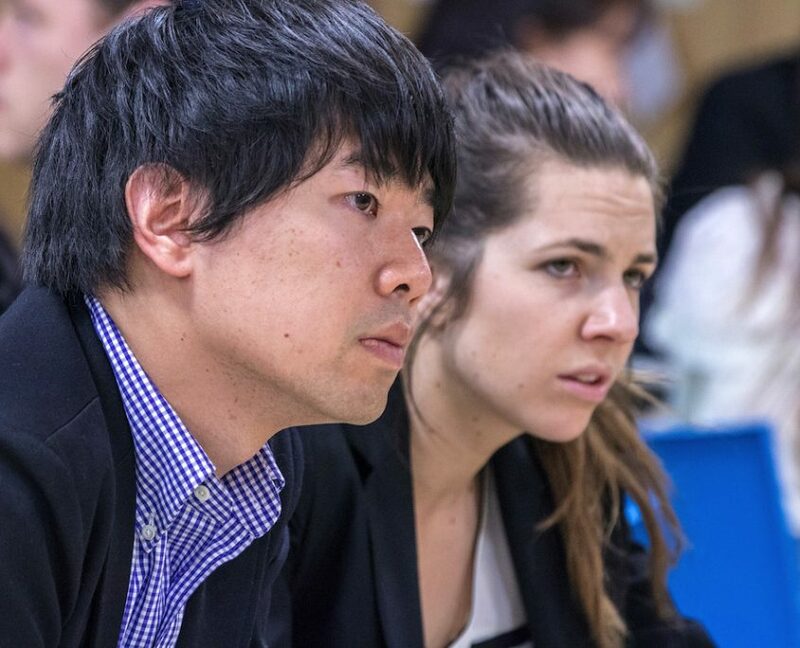 Student organizers such as Tetsuro Hirose, Kentaro Nagai and Miyuki Sakamoto began planning the 2018 Japan Trip during the previous summer, deciding that the Olympics would serve as an overarching theme because Tokyo is the host city for the 2020 Summer Games and Los Angeles will be host in 2028. An application process that began in November led to selection of a handful of non-Japanese co-organizers, according to Robert Gamboa, a trip organizer and first-year student in Public Policy who grew up in Texas and now lives in West Hollywood. 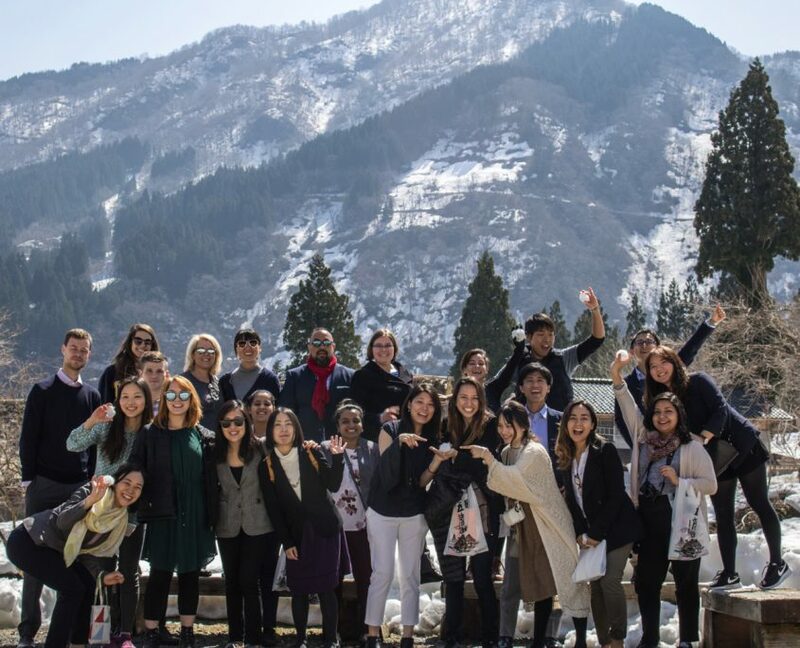 By February, the 50 participants had been chosen based on how well the educational benefits of the trip matched to their own personal and career goals. 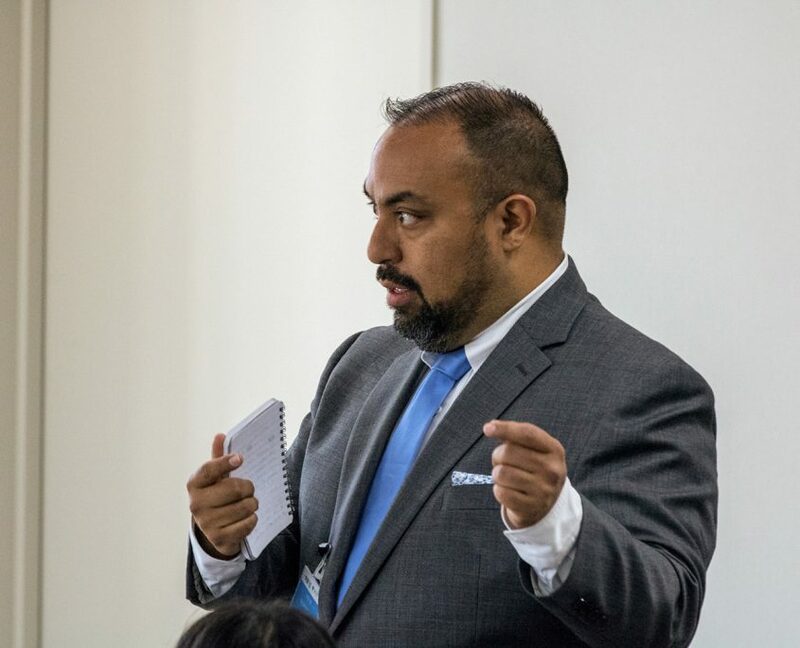 In addition to students from UCLA Luskin Public Policy, Social Welfare and Urban Planning, the travel group included six students from other UCLA departments — Public Health, Education and Sociology. Like Los Angeles, Tokyo has hosted the Olympics before, in 1964. But that was during a time of economic growth in Japan. Today, the country is battling economic decline. The visit provided a unique opportunity to directly engage with policymakers and entrepreneurs who are trying to reverse that decline by emphasizing tourism, promoting technological innovation and pushing redevelopment efforts that are remaking the country’s infrastructure to better cope with a rapidly aging population base. Starting the trip in the city of Kyoto, a well-known symbol of Japanese history and culture, provided a perfect backdrop to understand the country’s efforts to modernize without sacrificing its unique cultural identity. 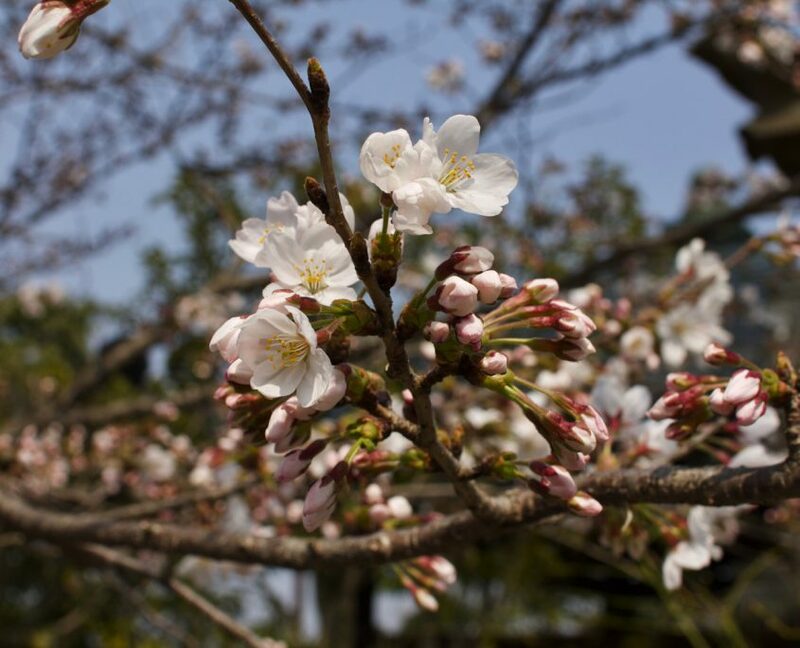 And the cherry blossoms, or sakura as they are known in Japan, were in full bloom. 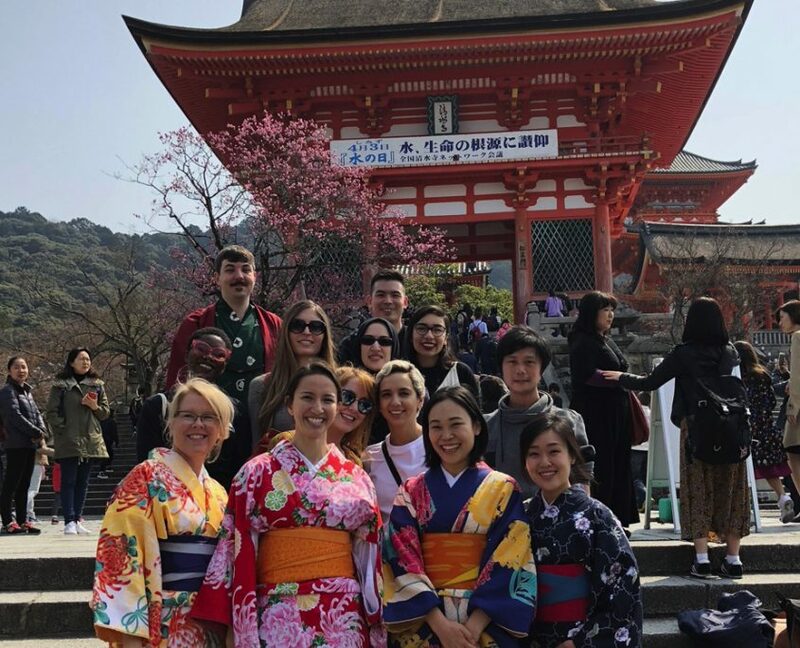 In historic Kyoto, the students got an up-close view of Japan’s efforts to modernize without sacrificing its unique cultural identity. 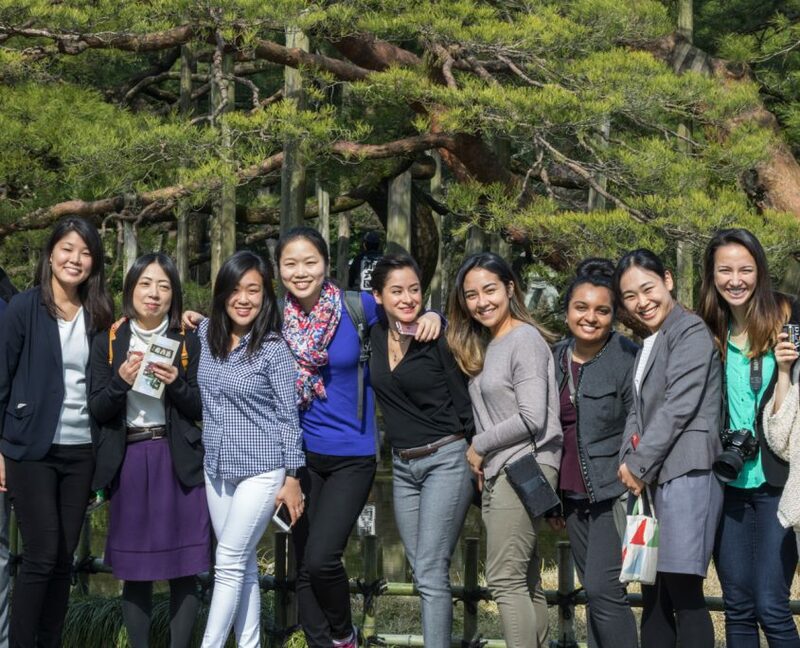 The group had the opportunity to fully appreciate their beauty during a visit to the Kyoto Guest House, a 16,000-square-meter building in the eastern part of the Kyoto Gyoen National Garden, where the Kyoto Imperial Palace is also situated. 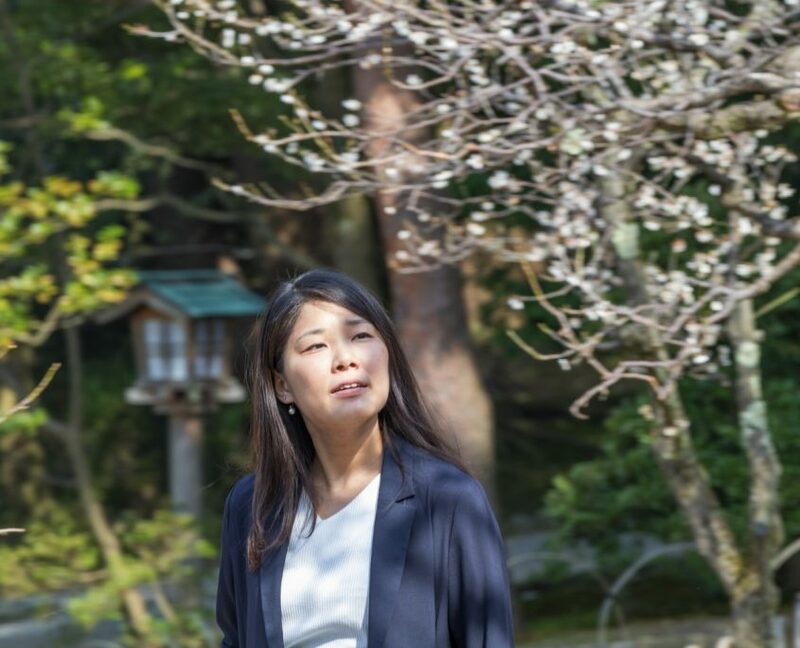 As part of Kyoto’s promotion of tourism, the Guest House opened to the public in July 2016 and received 95,000 visitors in the first fiscal year. But second-year Social Welfare student Angela Jeong and first-year Master of Public Health student Tiffany Li noted that recognition of the Guest House among foreign tourists is still low. 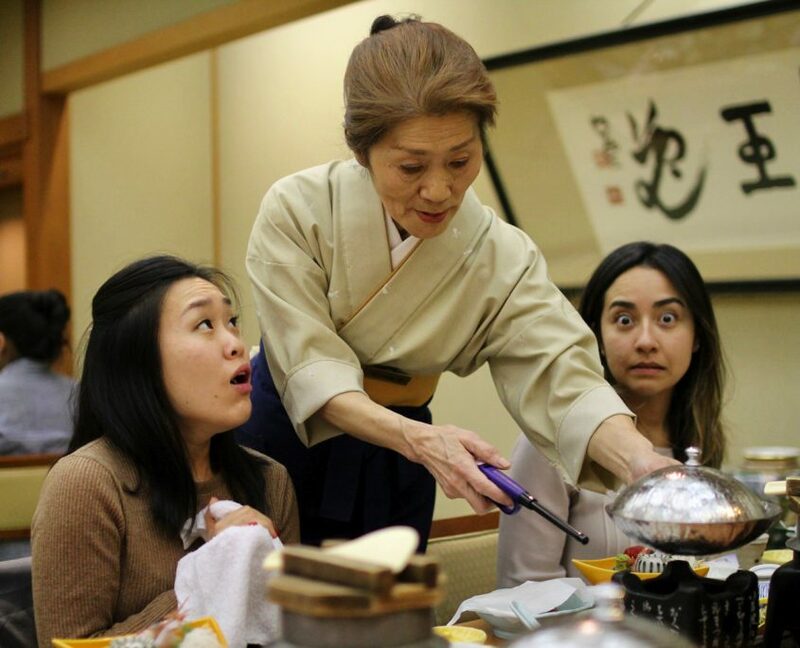 The Guest House staff told them that only about 3 percent of visitors are from out of the country, so the staff sought feedback from the UCLA visitors about making inroads with foreign tourists. 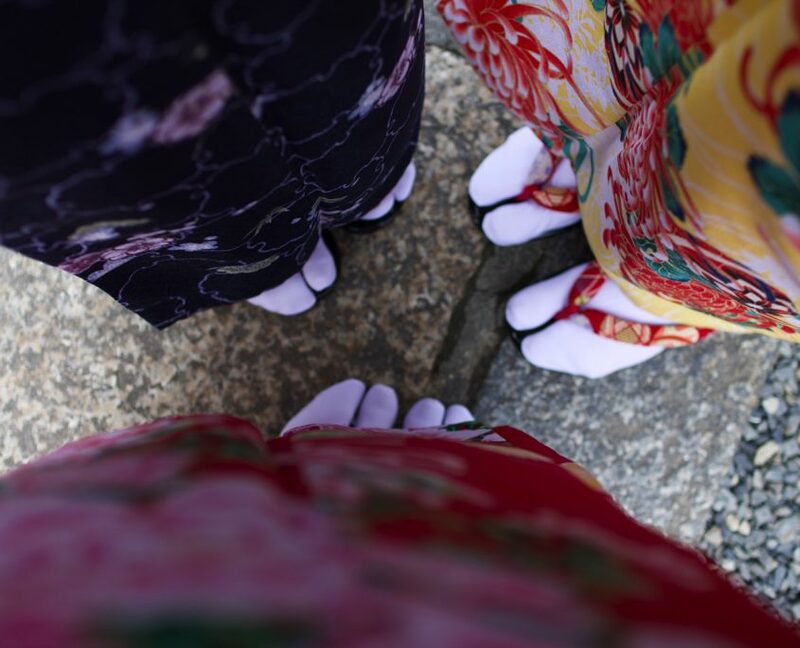 The beauty of Japan and its cultural uniqueness were on full display after the students split into sub-teams. 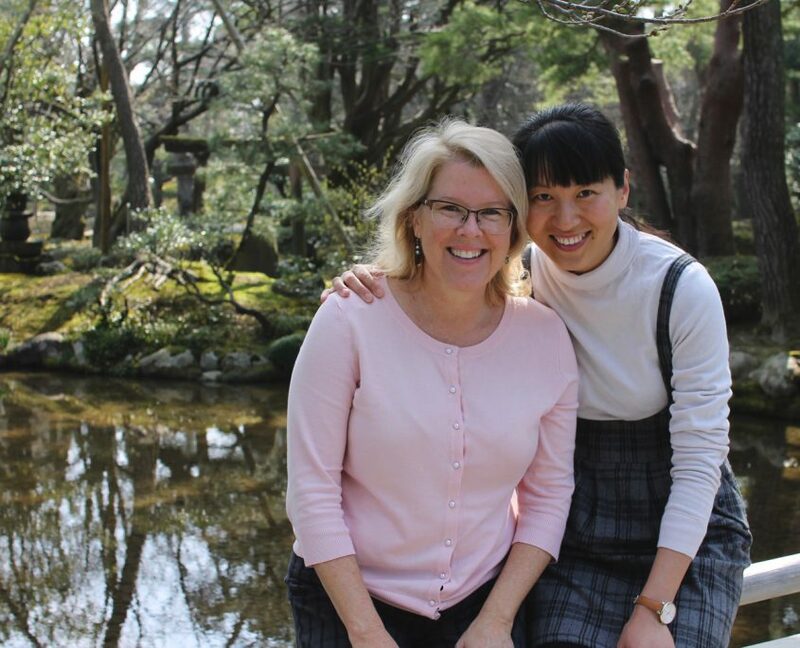 Many of the 26 students on the team that headed toward Japan’s northern coast were from the Social Welfare program, including second-year student Sherri Gerard. 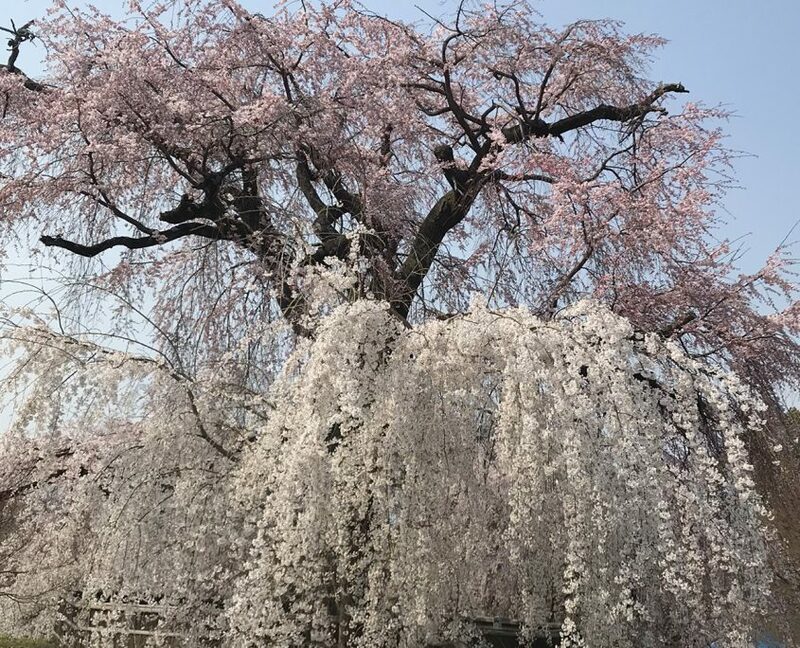 “Walking among various natural gardens, temples and shrines — all in bloom with sakura trees — I was struck by the unforgettable beauty and how it brings together the Japanese people,” said Gerard, who had never been to the country. On the bus ride north, Gerard marveled as the landscape changed from city, to country to sea. Both groups stayed overnight at a ryokan, a type of traditional Japanese inn that has existed since the 8th century. Trip organizer and MPP student Asami Chikae helped lead classmates on a visit to her hometown of Kanazawa, which features the lush Kenrokuen Garden, history-rich neighborhoods where samurai warriors once lived, and a contemporary art museum that has become a hit on Instagram thanks to photographs of fellow patrons who appear to be underwater in a swimming pool. The next stop for Kellogg, Gerard and their team was Kanazawa, a mid-sized city that was home to the Maeda clan, which ruled the largest feudal domain in Japan from Kanazawa Castle from the early 1600s until 1868. 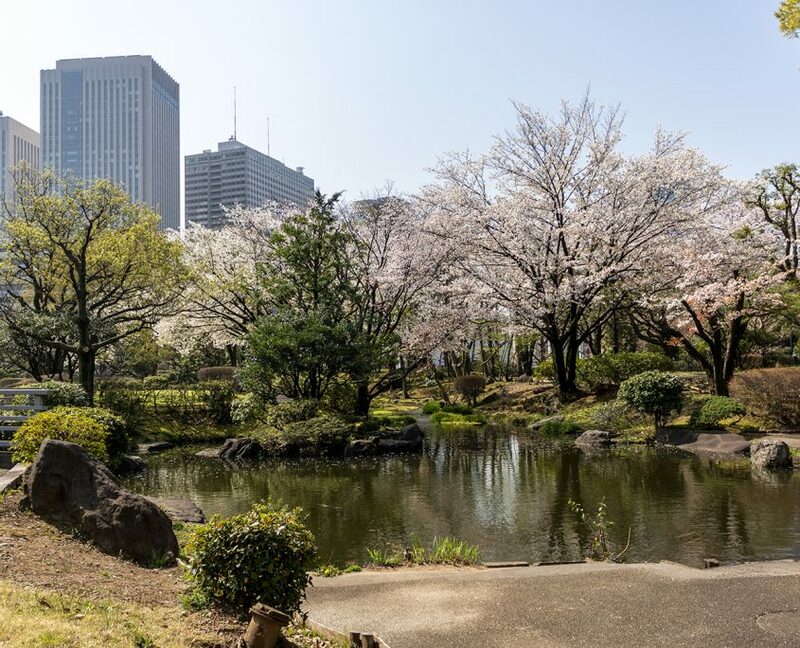 It’s a city filled with narrow and winding streets, traditional one- and two-story homes, lush gardens and many artifacts from the era when a powerful ruler, or shogun, held sway. Kanazawa is the hometown of trip organizer and first-year MPP student Asami Chikae, who welcomed the opportunity to share the beauty and history of her city while helping to lead her UCLA peers on tours of the stunning Kenrokuen Garden and the neighboring Nagamachi district where samurai warriors once lived. 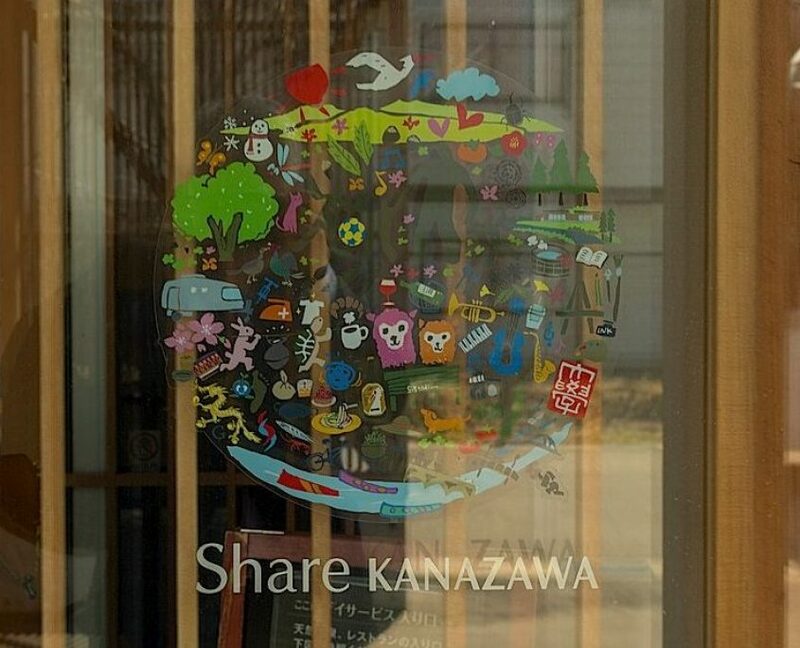 That day, the group also met with a city tourism representative, who spoke of the pros and cons of expanding the tourist infrastructure of Kanazawa. 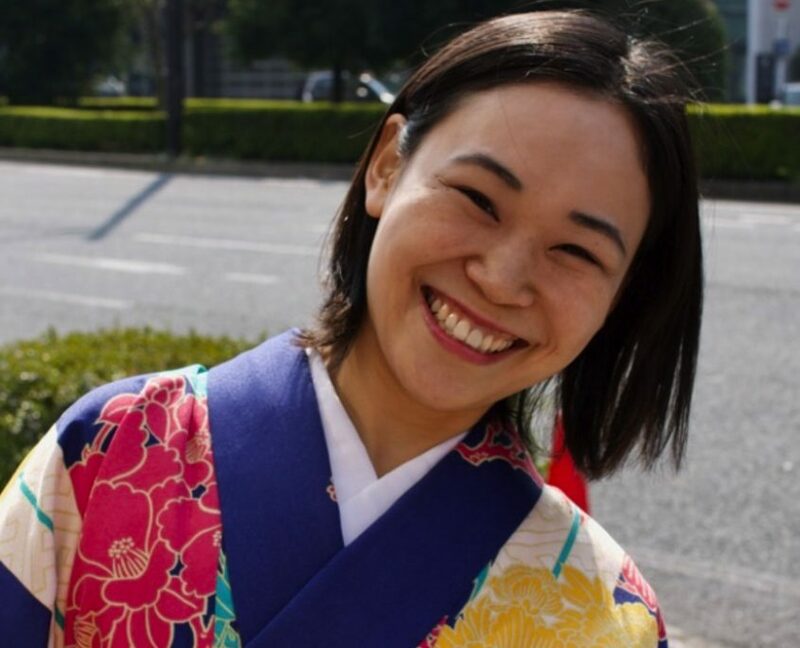 Soham Dhesi, a second-year MURP student, was impressed that Kanazawa’s tourism policy focuses on the city’s core strength — its deep history and culture. 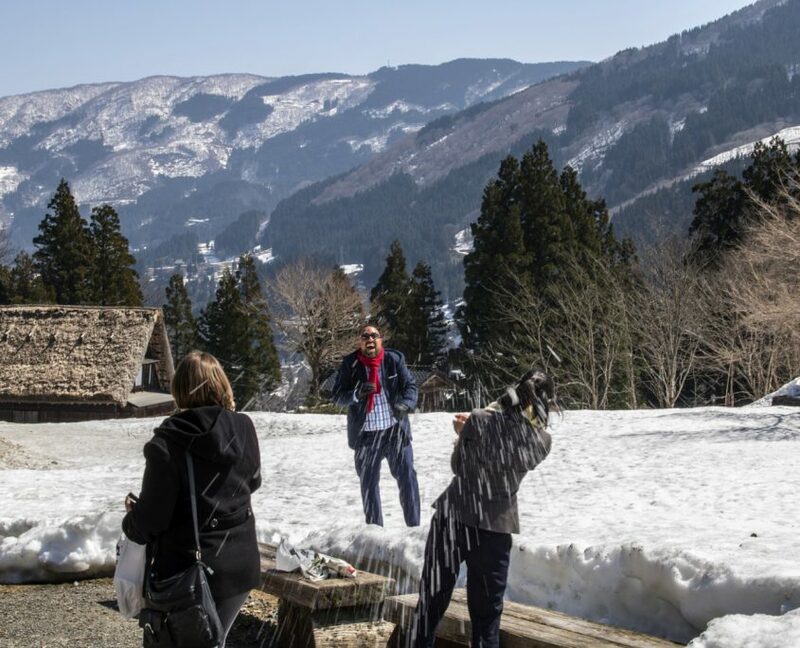 The UCLA group did just that when they boarded a charter bus the next day to travel to Gokayama, a region dominated by high mountains in southwest Toyama Prefecture. 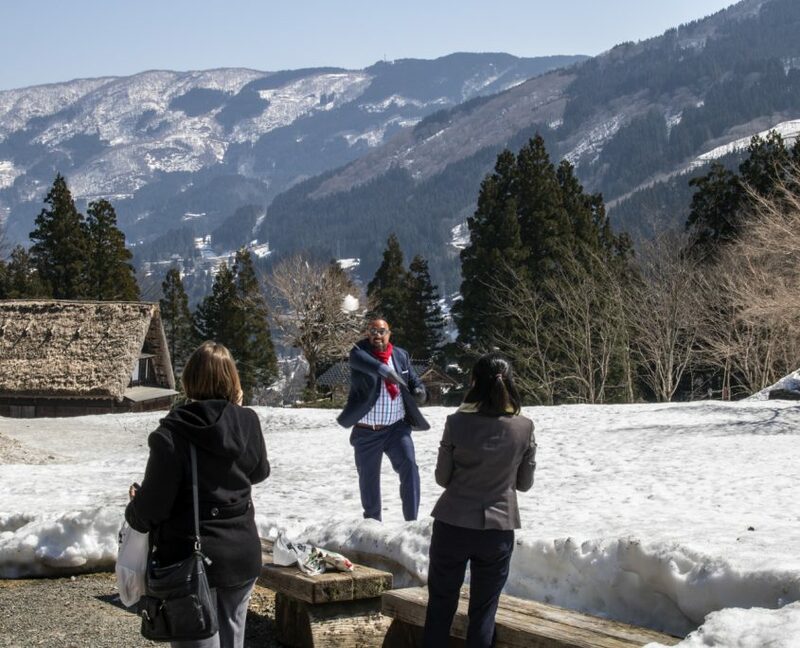 The students visited a village of traditional farmhouses, where they experienced a Japanese tea ceremony, enjoyed spectacular mountain scenery and took advantage of the warm weather to toss around a few snowballs. 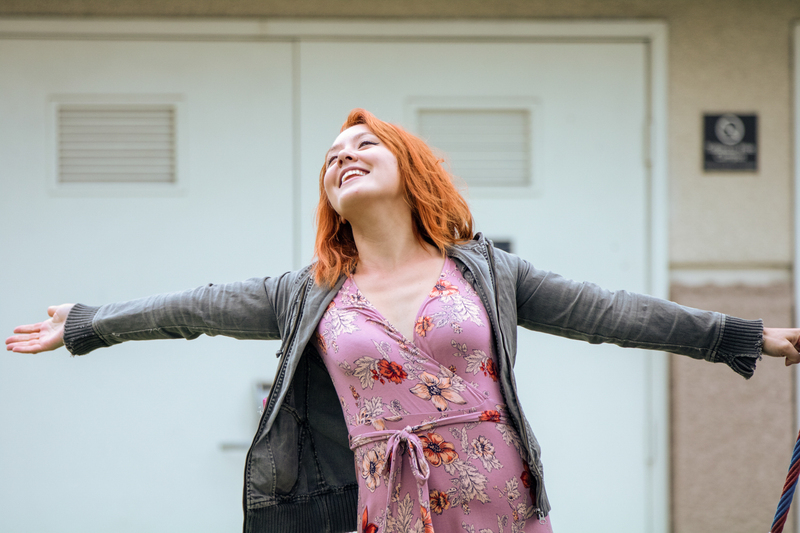 Qiaoyan Li Rosenberg, who is pursuing a doctoral degree in sociology at UCLA after having earned an M.A. at Kobe University in Japan and an undergraduate degree in her homeland of China, recalled the spectacular scenery. “Gokayama” is actually a general term referring to villages in this particular area, she noted. 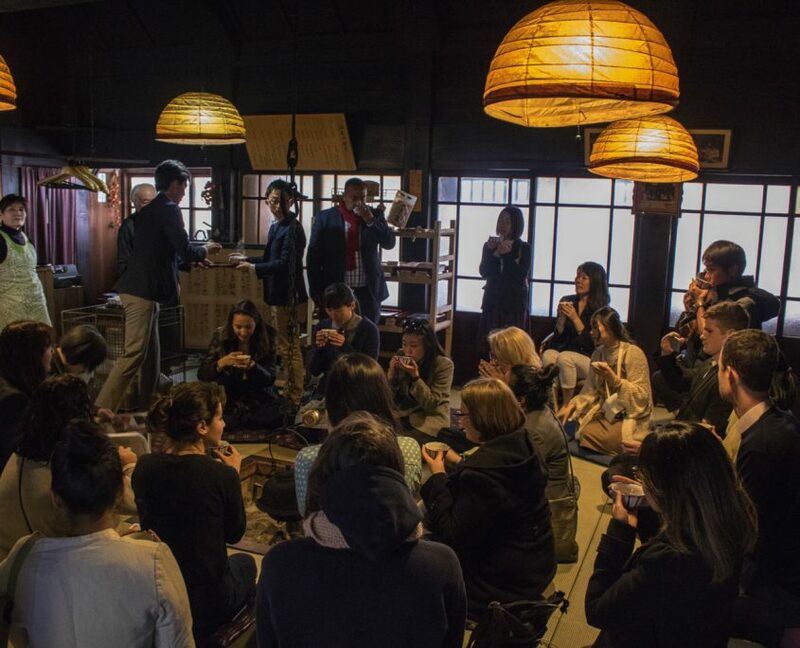 The group toured one of the villages, Ainokura, a UNESCO World Heritage site, and saw its traditional gassho style farmhouses, some of which are more than 250 years old. 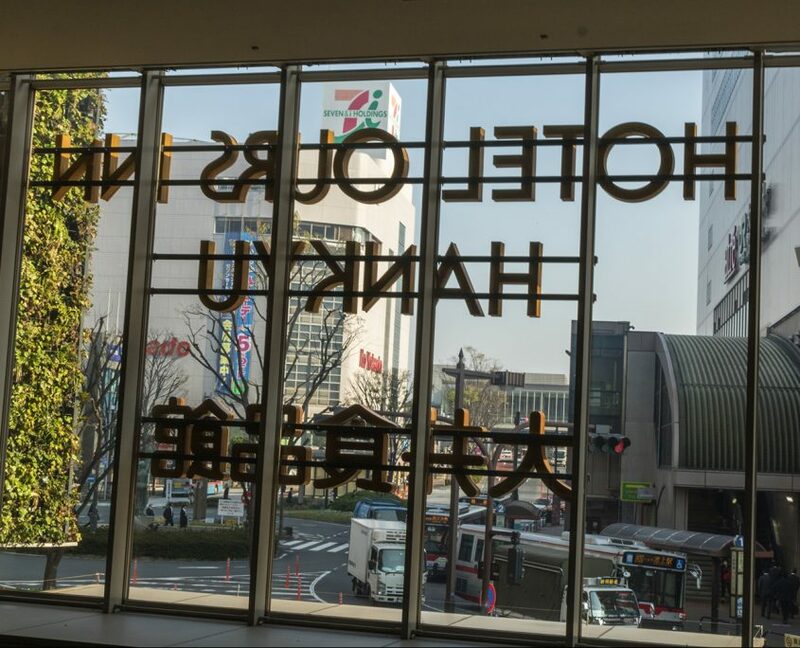 The city of Toyama is tackling the reality of Japan’s aging population head-on through efforts to revitalize its urban core, where a gleaming new library building that emphasizes glass art and a modern marketplace are readily accessible via light-rail lines that knit the city together with much of the surrounding region. Later, the bus headed back down the mountains. The tour passed through a long, flat valley on the way to the next stop, the city of Toyama. The prefecture containing Toyama lists Oregon as one of its sister regions, and the city of 1 million residents is not unlike Portland, a major urban area surrounded by farmland at the base of high mountains. 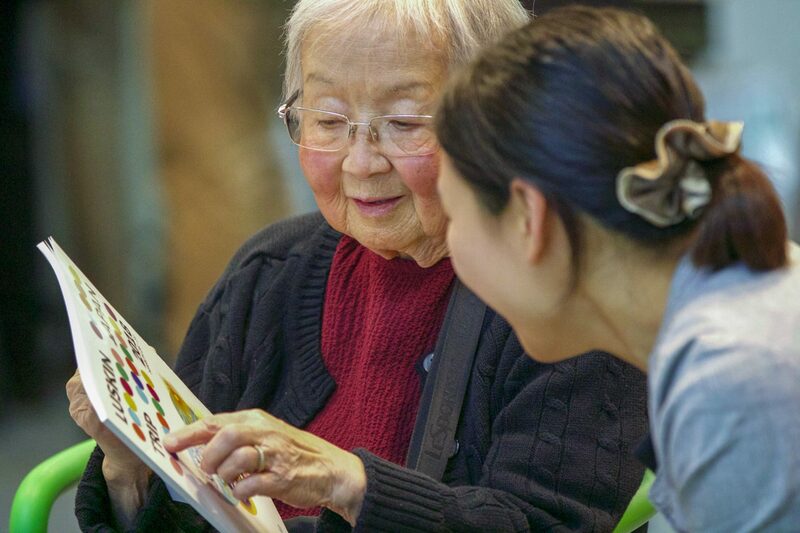 Toyama faces many of the same issues as Japanese society overall — an aging population, a shrinking tax base, a declining urban center and low birth rates. “The city is a rare find, in that they directly acknowledge and accept the issue of a declining and aging population,” Kellogg said. 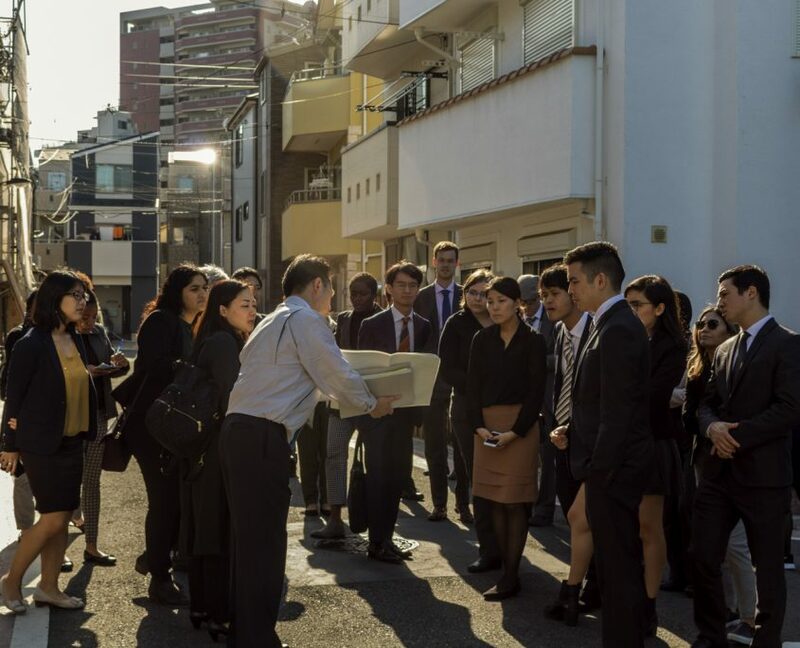 First-year MPP student Erica Webster and Jamie Godwin, a third-year doctoral student in public health and business administration, noted that Toyama’s situation may seem familiar to people in Southern California because of the adverse consequences of car-focused, low-density development. 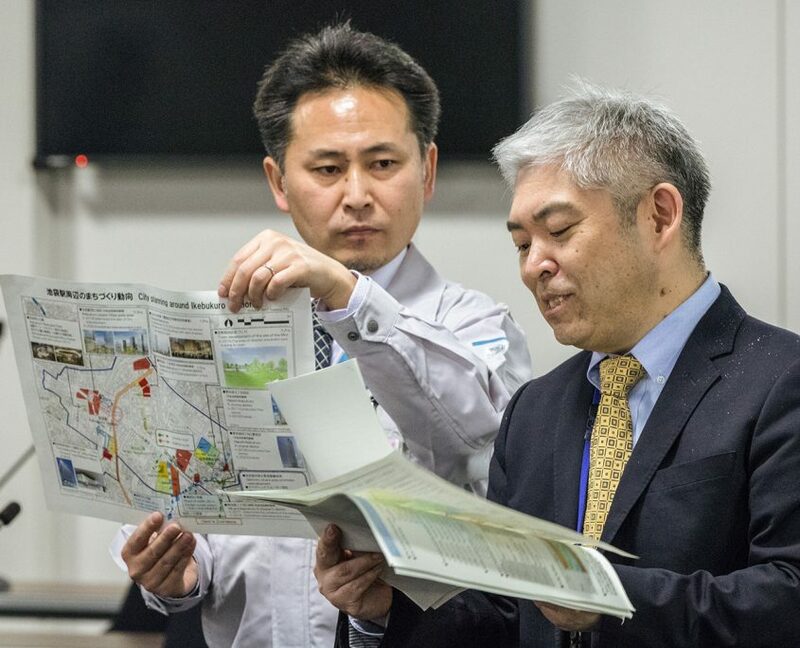 Toyama has responded with a Compact City policy that focuses on revitalizing its transit infrastructure, incentivizing denser development along light rail lines, and reinvesting in the city’s central district. 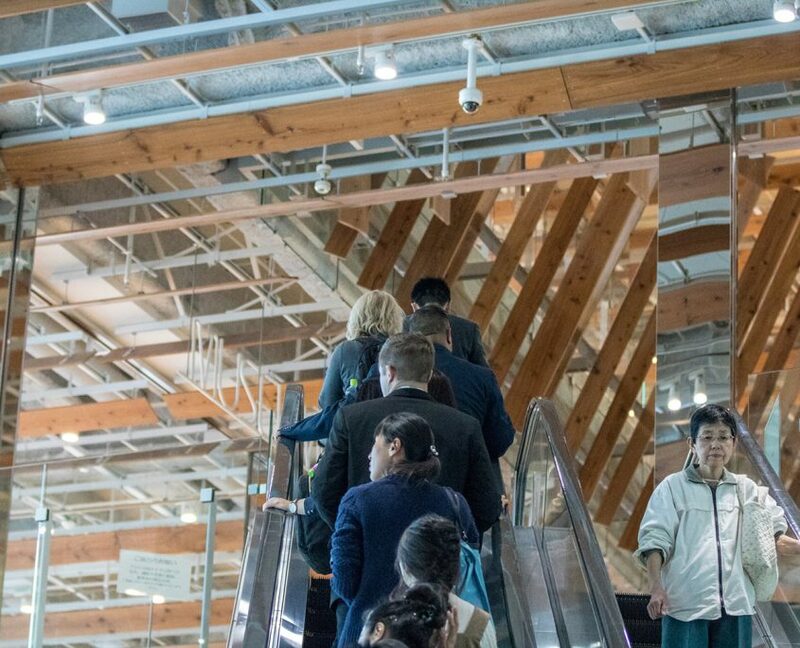 Using what is known as a “dumpling and skewer strategy,” Toyama has reimagined its city center as the hub of a light rail network (the skewer), with a focus on placing necessary amenities of urban life centered around each rail stop (the dumplings). 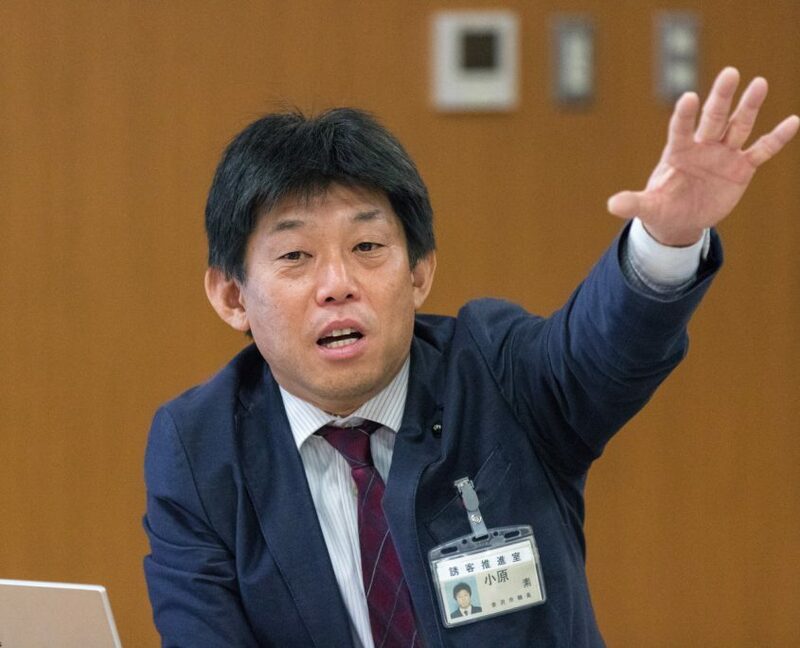 Toyama officials explained that the Compact City policy is based around consolidated services and an attractive, walkable urban core. They said the increased density and public space are helping to revitalize their city. 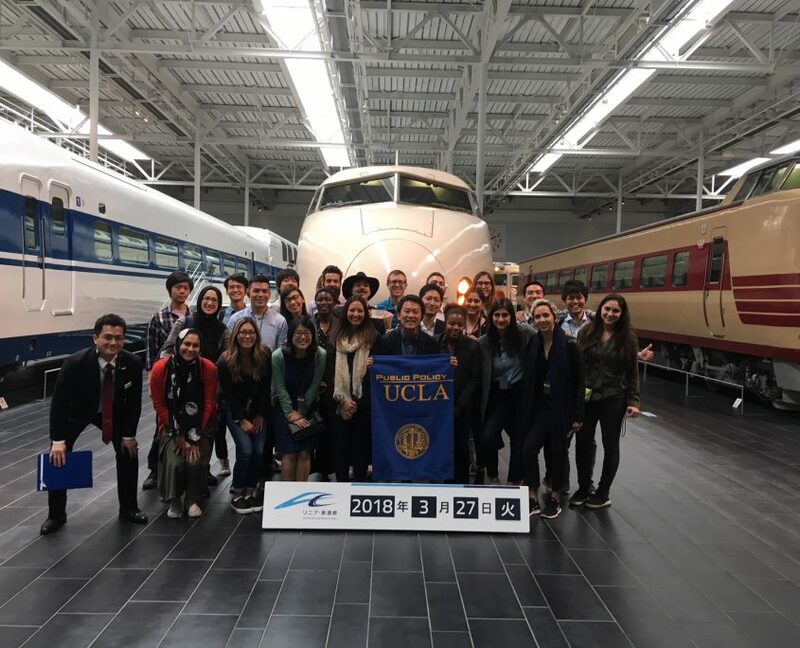 A second team of students that focused on Japan’s transportation and infrastructure policies gained insight through meetings with transit officials and a firsthand look at some of the trains that form the backbone of the country’s renowned high-speed rail system. Meanwhile, on the southern side of Japan, the second team from UCLA took a more direct path from Kyoto to Tokyo. 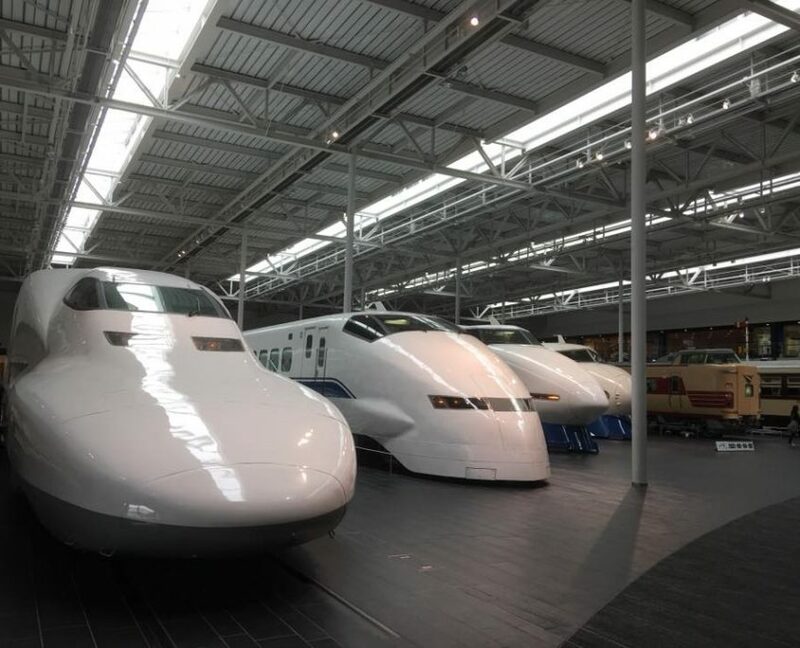 The team stopped first in Nagoya to visit a museum that documents the history of Japan’s high-speed rail, called Shinkansen, and the upcoming super-high-speed successor. First-year MPP student Zainab Badi and second-year MURP student Warren Wells explained that since its inception in 1964, the bullet trains have become world-renowned for their speed, efficiency and safety procedures. 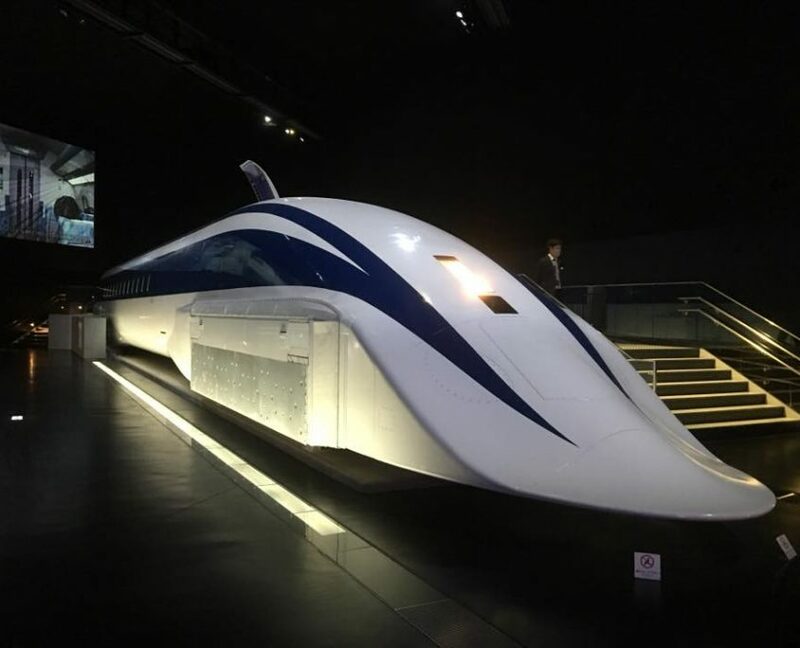 The Superconducting MAGLEV (SCMAGLEV) is the latest iteration of the Shinkansen, and it will run at even faster speeds because it levitates above the track by magnetic force generated between magnets and ground coils. An advanced guidance system keeps the trains functioning. California’s effort to build a high-speed rail route along the state’s north-south axis is a pale shadow of what the students saw in Japan. One of the most memorable stops for this team was at the Rail Operation Center for the Tokaido line. Naseem Golestani, a first-year MPP student, said one of the main takeaways from this visit was the importance placed on safety. Since its creation in 1964, JR Central, which operates the high-speed trains, has had zero fatalities. 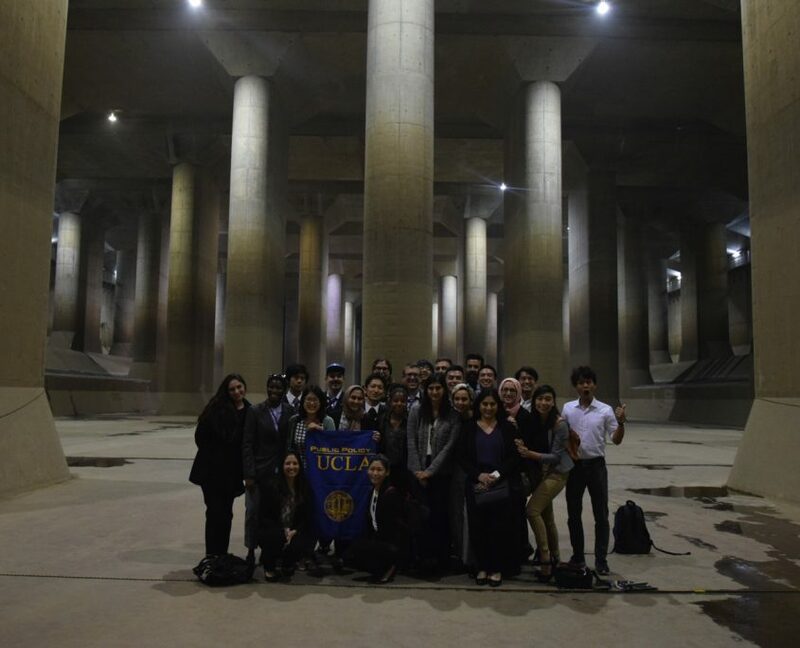 The UCLA visitors are dwarfed by the immensity of the Underground Discharge Channel facility built to mitigate flooding in Japan’s Saitama Prefecture north of Tokyo. Another highlight was getting to see a feat of Japanese engineering in the eastern region of the Saitama prefecture north of Tokyo, which is prone to flooding . The largest of its kind in the world, the Underground Discharge Channel consists of five immense cylindrical shafts that collect water. Each cylinder is large enough to fit the Statue of Liberty. 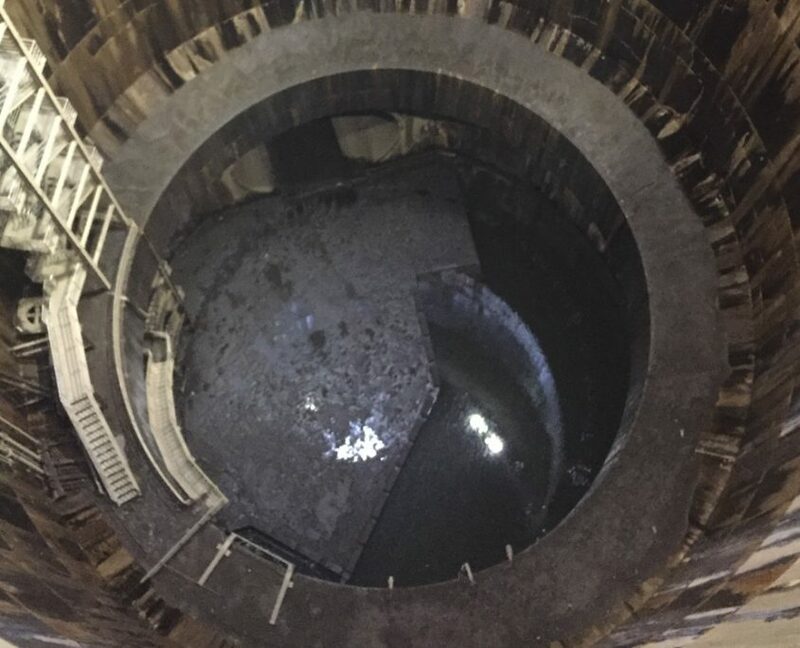 The water enters in a circular manner, termed as “drop shaft” movement, to impede damage to the shaft floor due to water falling from such a significant height. The Underground Discharge Channel allows the region to collect the floodwater before it devastates the community, explained second-year MPP student Allan Nguyen and Gabriela Solis, a second-year student pursuing degrees in social welfare and public policy. “Now, floods have been reduced to 10 percent of their pre-discharge facility levels,” they noted. 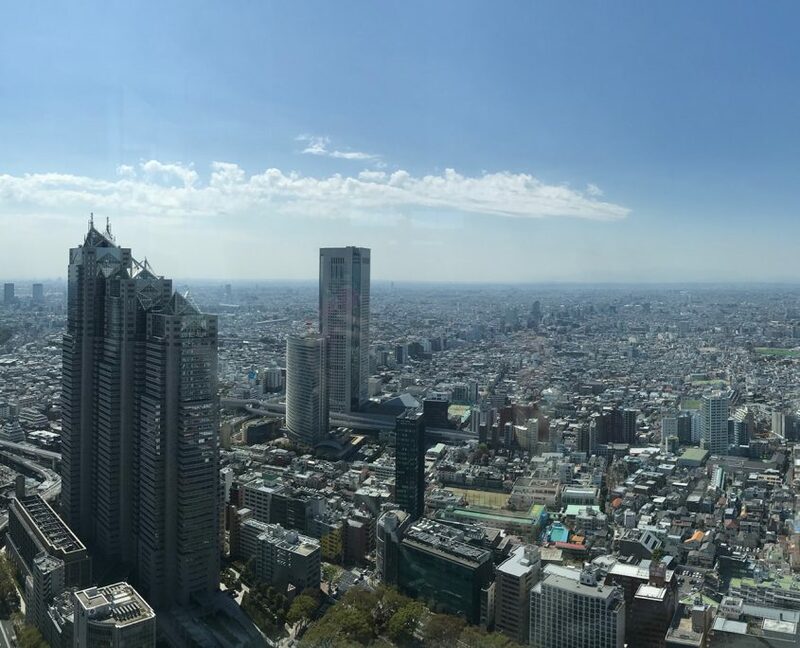 Many of the Japanese students who helped organize the trip work in government ministries in Tokyo, where modern skyscrapers mix with scenic open spaces that provide reminders of Japan’s rich cultural history. 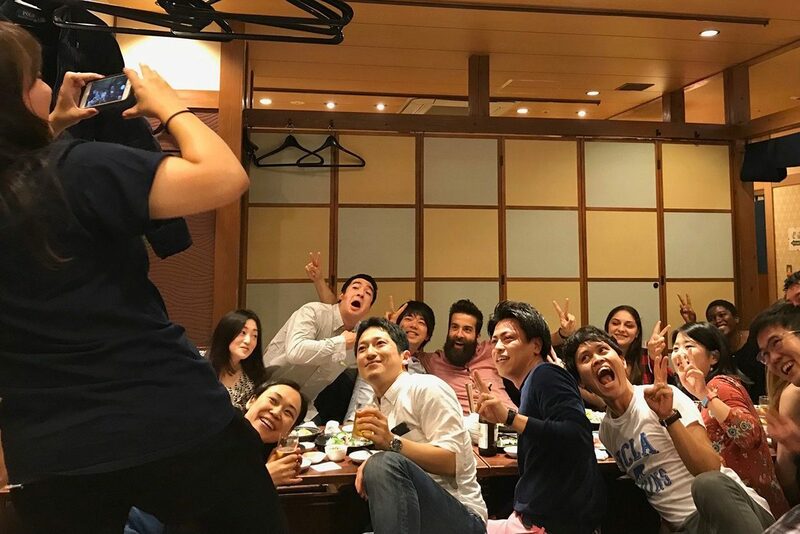 The final leg of the trip to Tokyo for both teams was made via Shinkansen, and the entire group was reunited by March 29 for a visit to the National Diet. 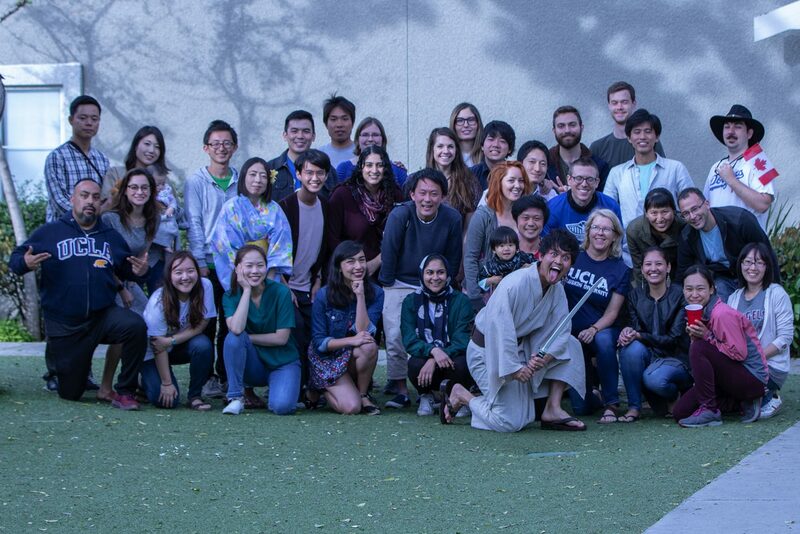 First-year MPP student Kento Tanaka, whose workplace is situated nearby, was delighted that the area was as beautiful during the UCLA visit as he’d ever seen it. At the National Diet, he said, they saw the historical architecture of Tokyo and learned about the political structure of the government. 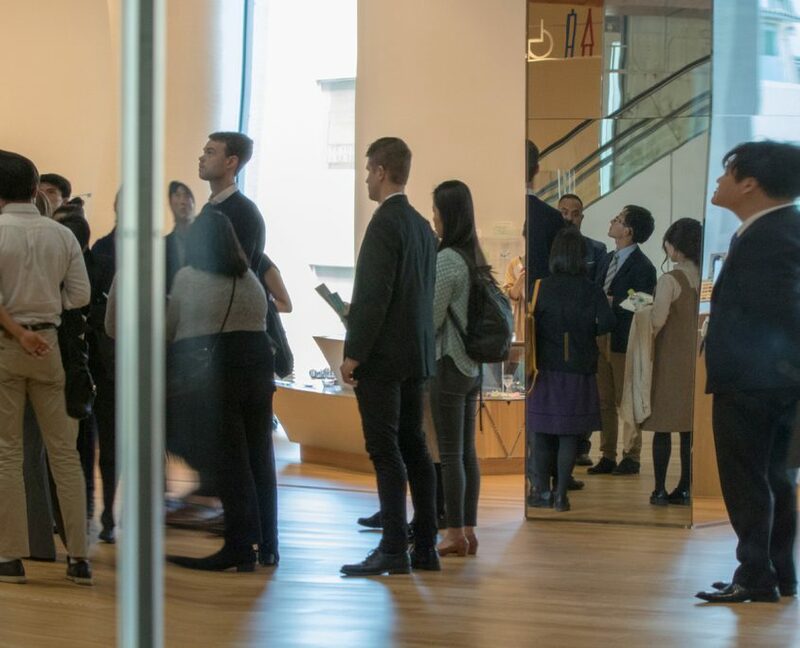 “During our visit, participants could feel the presence of the Emperor through the building itself, which was designed and decorated to host Japan’s royal family,” Tanaka said. The entire travel group from UCLA Luskin visited the National Diet, which is Japan’s equivalent of the U.S. House of Representatives — an experience that happened to overlap with a tour by Japanese schoolchildren who all wore bright orange caps. 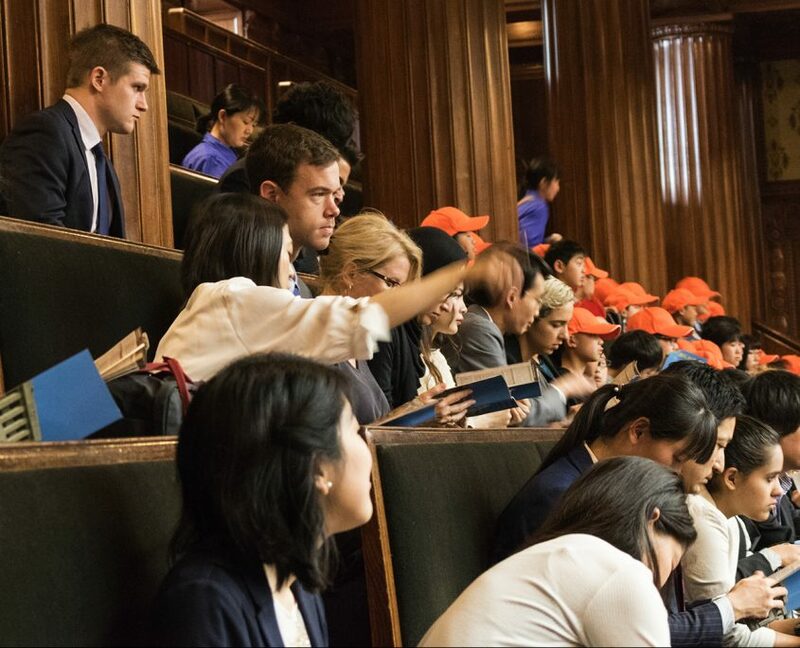 The UCLA visit to the National Diet happened to coincide with a tour of the nation’s house of representatives by a group of Japanese schoolchildren, all wearing matching orange baseball caps. Inside the chambers, the two groups watched workers meticulously dust each of the ornate chairs and tables. 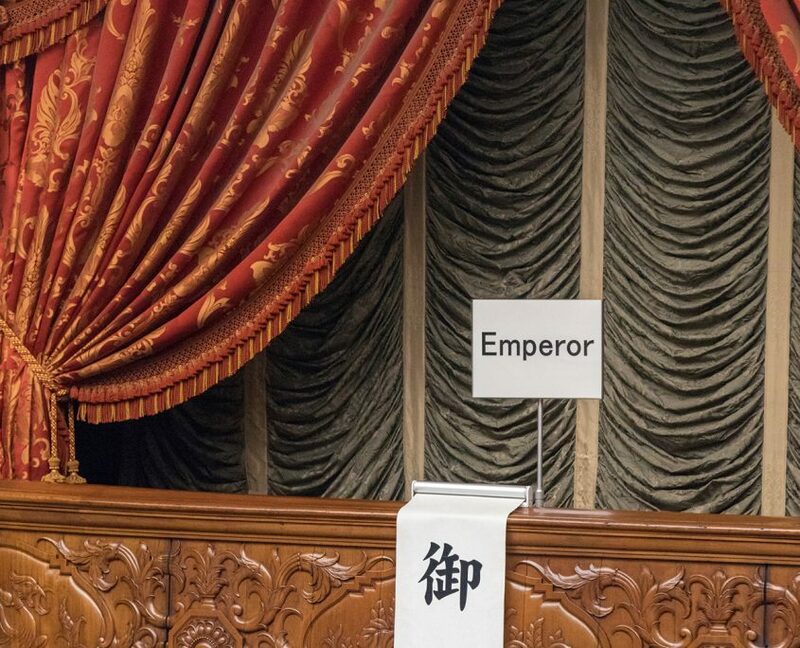 They observed where the representatives sit and noted the location where the emperor can observe. 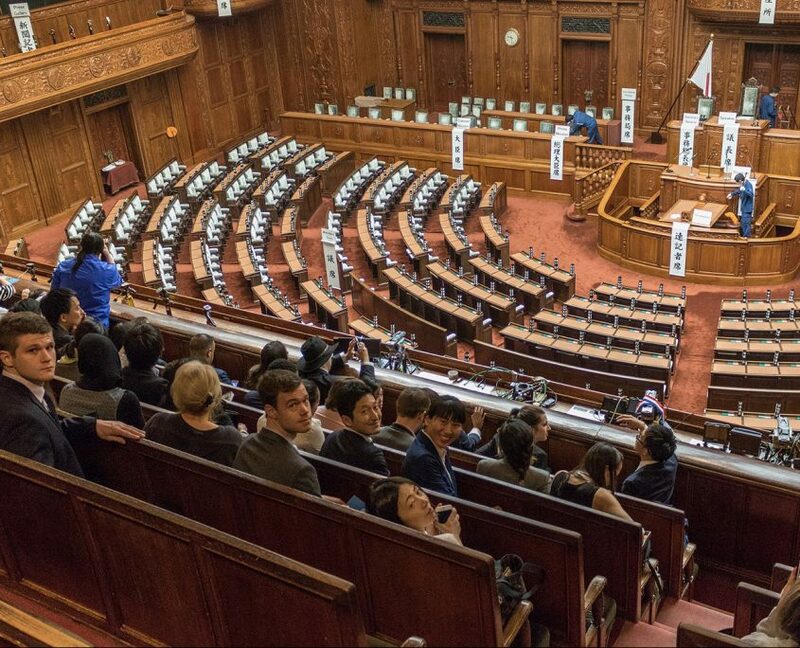 They learned about the structure of the Japanese government — how the laws are deliberated and formed by a governing body in which bipartisanship holds sway. “Taking this field trip with a group of children was a helpful reminder that we all start somewhere,” Zavala said. and a local businessman, who provided his visitors with an honest and intimate glimpse into the Japanese work culture and entrepreneurship. Many of those visits focused on current policy issues in Japan. 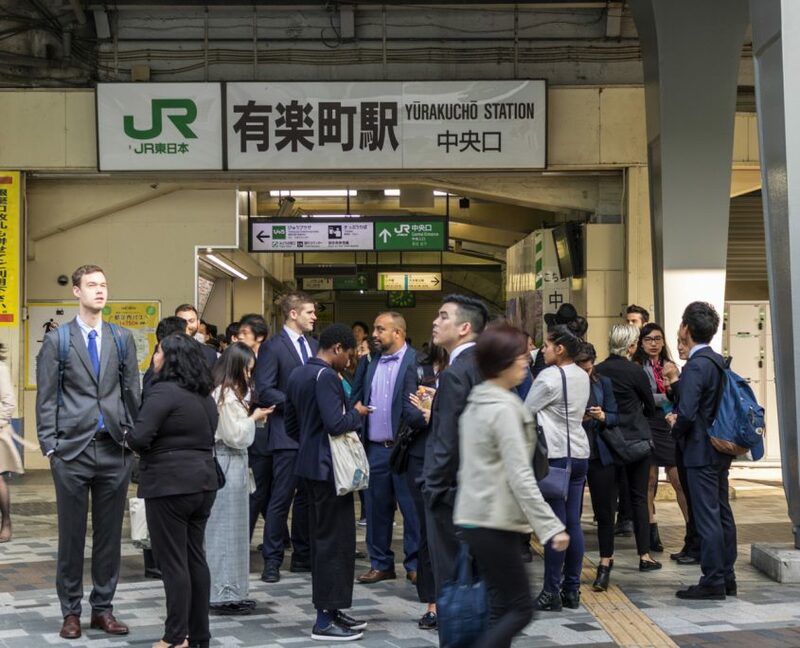 In Tokyo, the students crowded into packed commuter trains on the way to meetings with officials from various national and local government agencies to discuss policies related to transportation, tourism and Japan’s efforts to revitalize some areas in advance of the 2020 Summer Olympics. 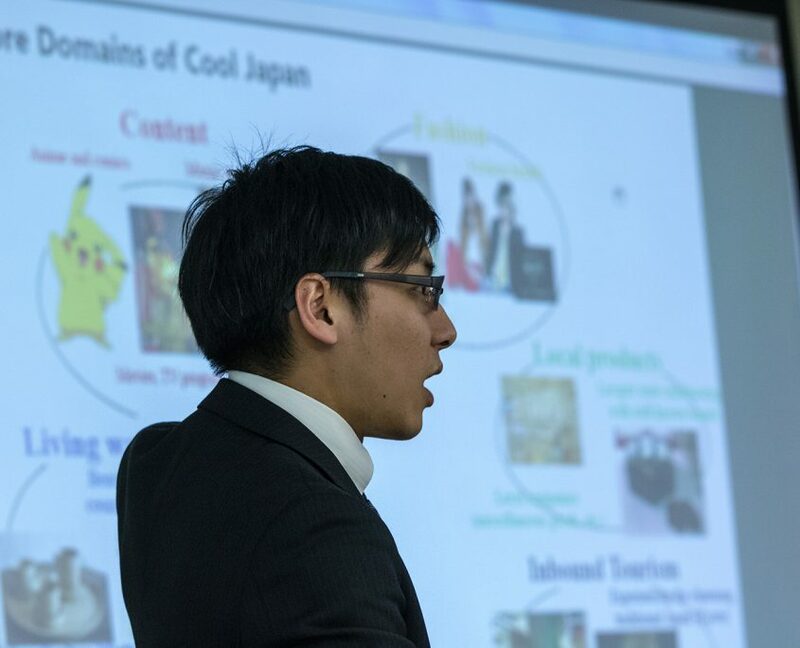 Alvin Teng, a second-year MPP student, said that the deputy director of the Transport Planning Division told the UCLA group that his presentation normally would have been an advertisement of best practices in Japan. “However, since we were graduate students, he had decided to present on the problems and challenges with public transportation,” Teng recalled. 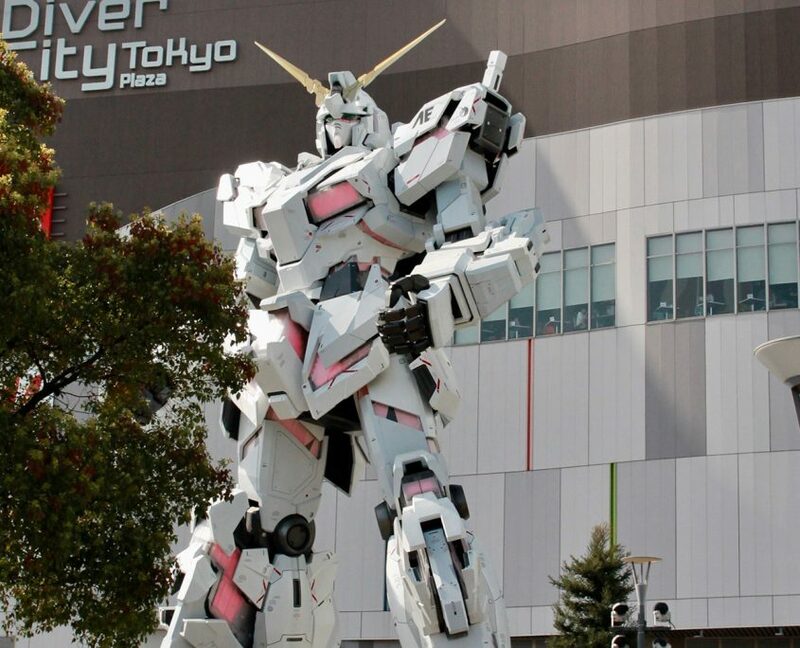 Even Japan has transportation challenges. The government built the country’s vast rail network but eventually turned operations over to private companies, which are operating at a deficit. Teng said he learned that 70 percent of bus and regional railways are receiving government subsidies to cover deficits from operating in less profitable areas. Low birth rates have led to decreasing density, and car ownership has increased, which has led to a decrease in ridership overall. 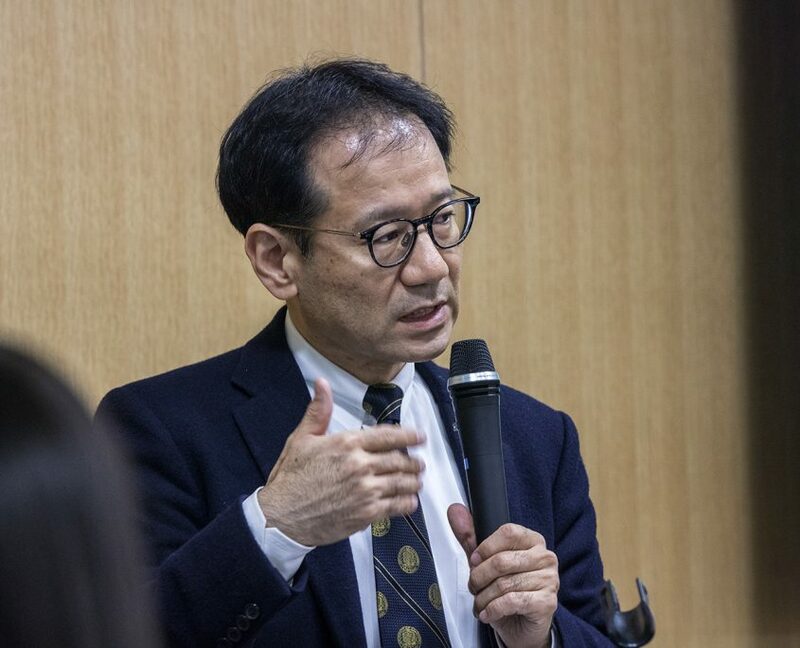 Teng said Japan is also struggling with suburban sprawl. In rural areas, ridership has decreased dramatically, and deregulation of private transportation companies has led to the abolition of rail lines and stations from some less-profitable areas. 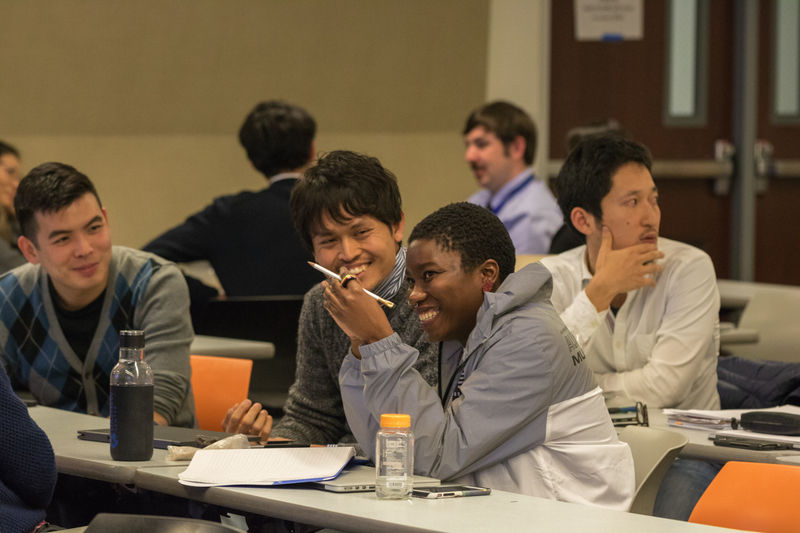 American students learned about the many cultural differences between Tokyo and Los Angeles, but they also gained insights about how some lessons from Japan could be applied to policy issues back home. 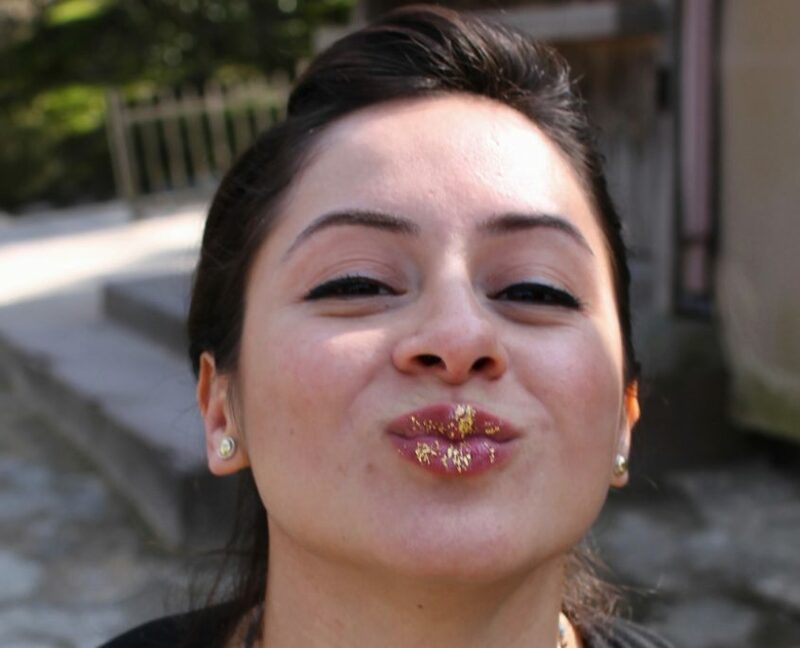 The workplace culture in Japan was documented by Bianca Lizarraga, who is studying for a dual degree in public health and medicine. 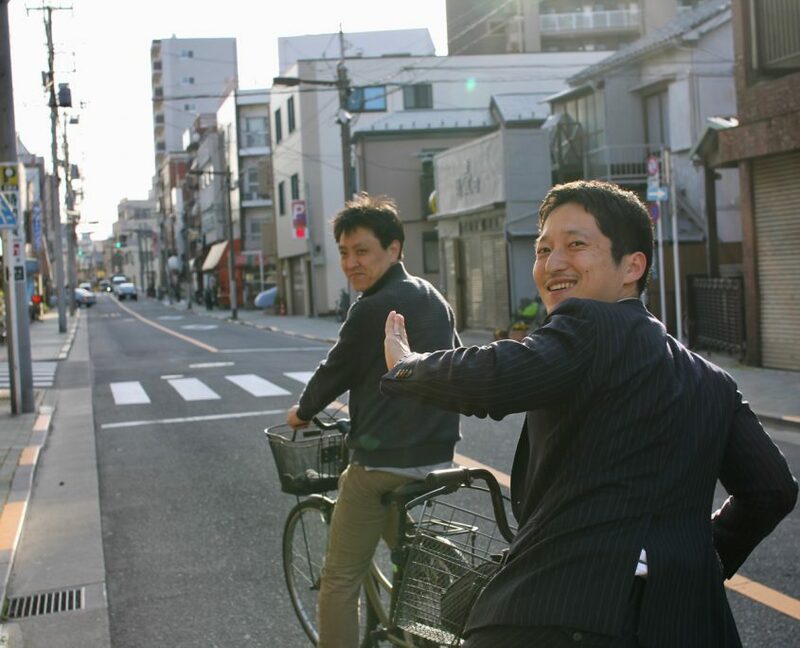 “The Japanese workplace is recognized for its rigorous culture. There is a deep-seated norm of long work hours, strict hierarchy, and gender work differences. Although such a culture leads to higher productivity levels, it also often impairs an appropriate work-life balance,” she said. The expectation of long work hours and a strict hierarchy of roles also puts strain on the family unit. 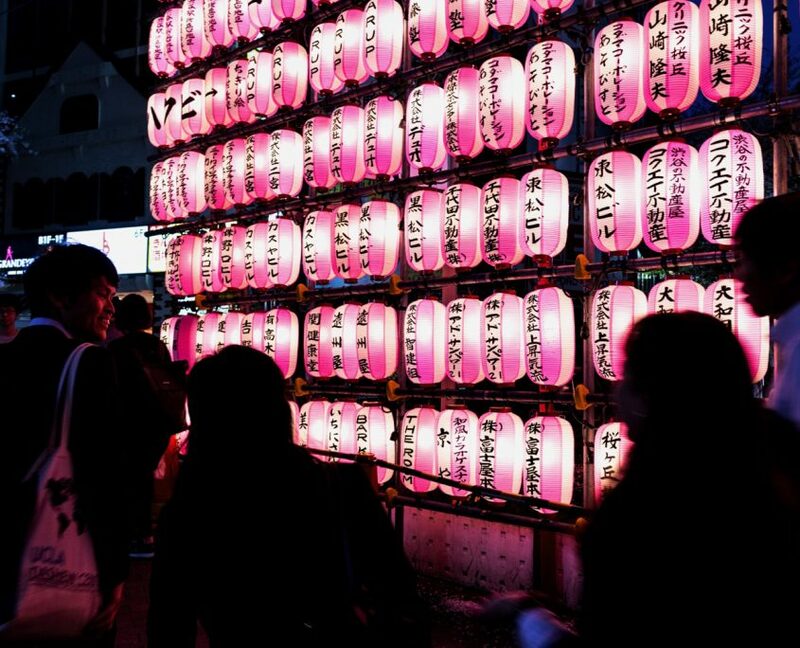 Tokyo is a fascinating city for American students to see up-close. It is clean, safe and remarkably efficient, but the homogeneity of the population can seem odd to Americans accustomed to our culture’s relentless celebration of individuality. Each workday, hordes of workers dressed in nearly identical business attire push en masse “into a rush hour train in what feels like 200 percent capacity,” Kellogg noted. Almost no one speaks, and many commuters seem to be sleeping while standing, held up only by the press of people on every side. Desiree Lopez, a second-year MSW student, was impressed by the natural cohesion between local and national branding strategies. 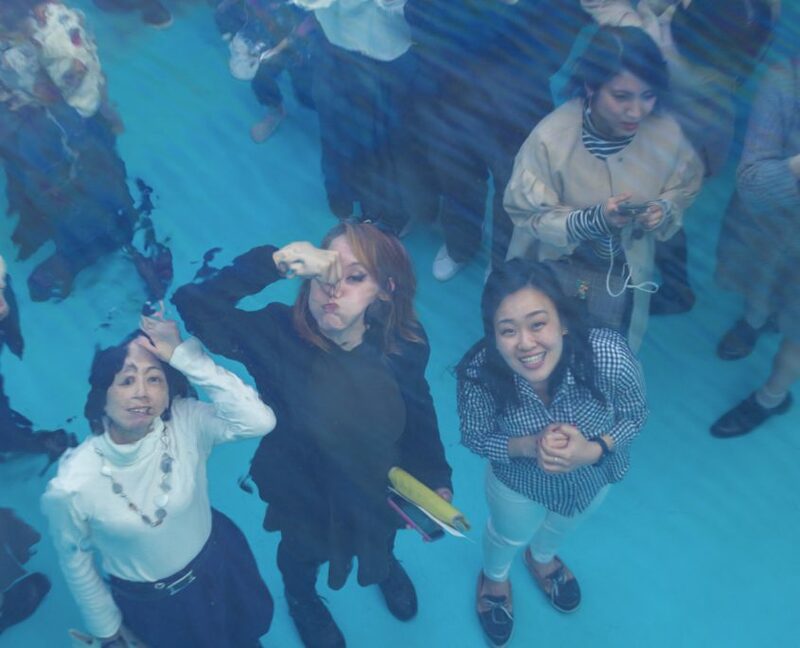 On a national level, the country’s so-called Cool Japan strategy focuses on the emotional value of core areas of Japanese culture, including media content, fashion, local crafts and local food. 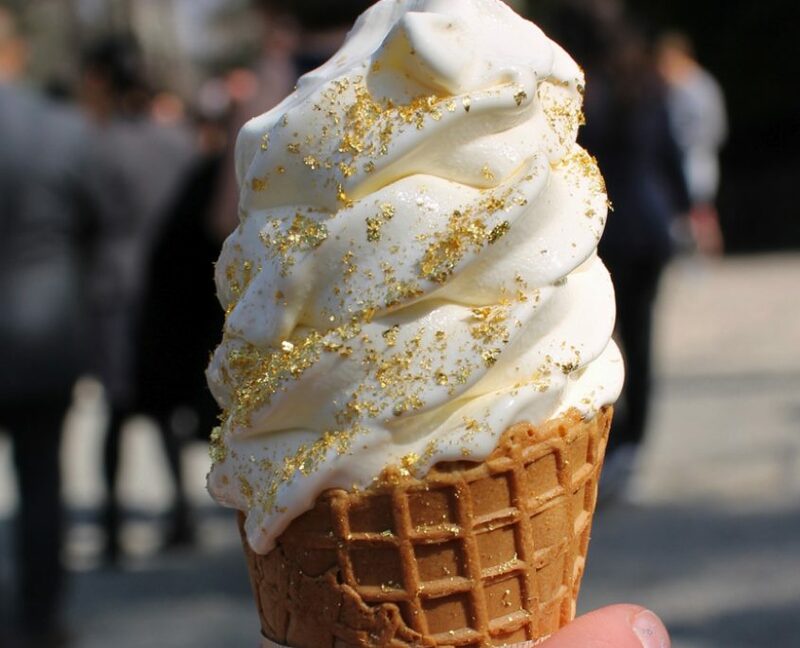 By identifying creations unique to Japan as a country and to particular prefectures, policymakers have steadily increased tourism rates and revenue in a highly competitive global tourism market. 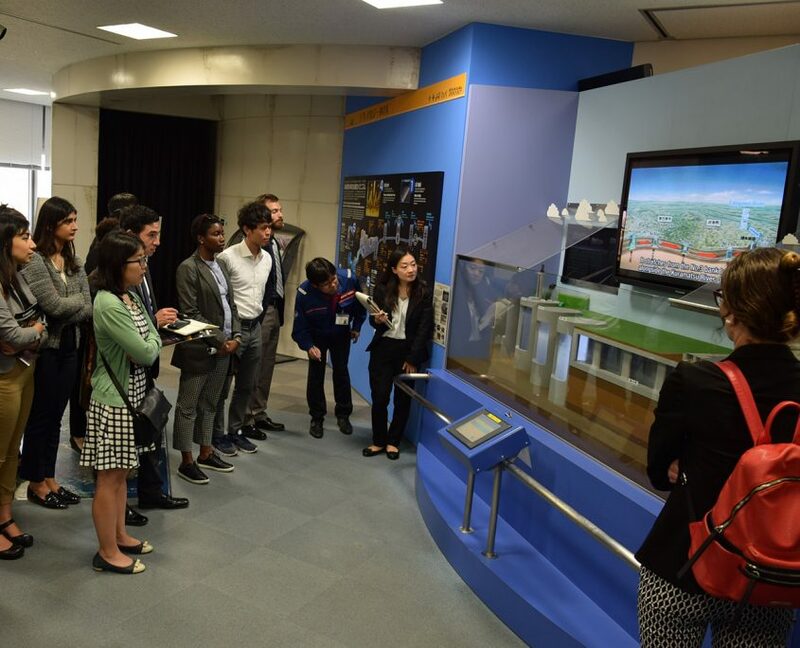 The study trip included information about tourism, social programs, transportation and urban redevelopment within an overarching mission to gain insight about Japan’s planning for the 2020 Olympics and how those policies may relate to decisions in Los Angeles, which will host the Games eight years later. 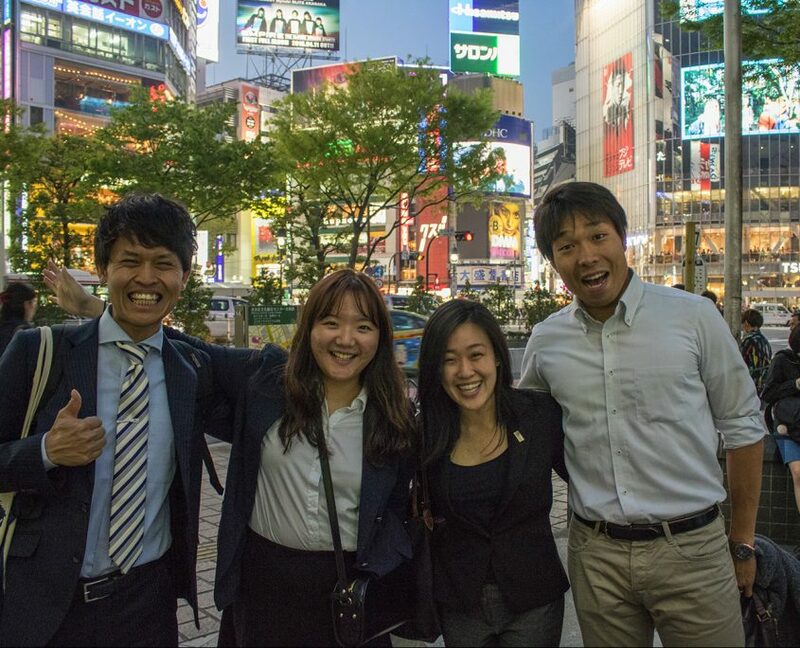 Throughout the trip, the students heard about Japan’s preparation to host its second Summer Olympics in 2020. One of the key objectives was to learn how Tokyo is preparing for the upcoming Games and how such policies may affect the city. Mega-events such as the Olympics produce more than a temporary increase in the number of tourists. Sabrina Kim, a second-year MURP student, said the students did research before the trip that showed that hosting an Olympic Games greatly impacts most cities in the long term. Policies implemented in preparation for the events can shape the vision of the cities, and often countries as a whole. 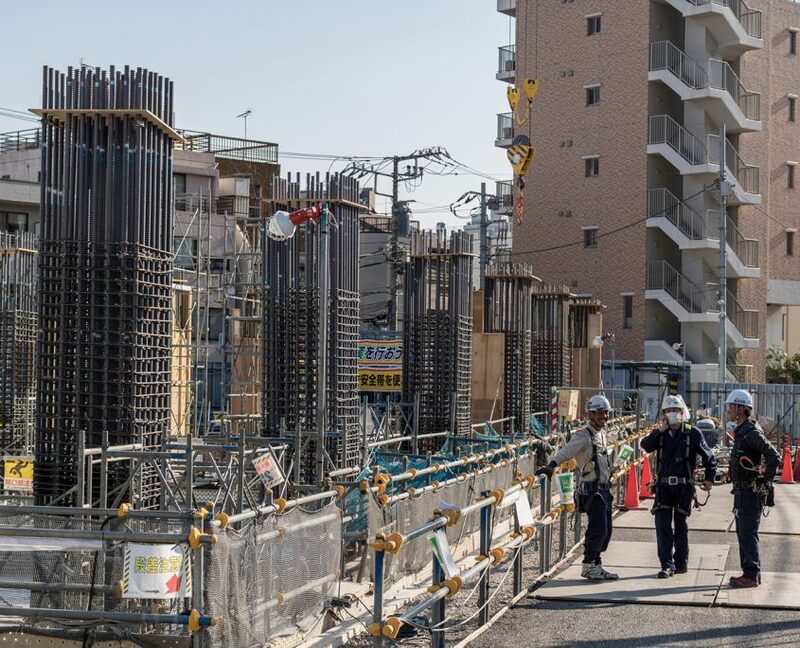 She said the government views the Olympics as an opportunity to expand Tokyo’s role as a center for sports, and construction of new sports facilities for the Olympics is underway. The city also hopes to build stronger accessibility and security, ultimately aiming for an attractive place for anyone to live. 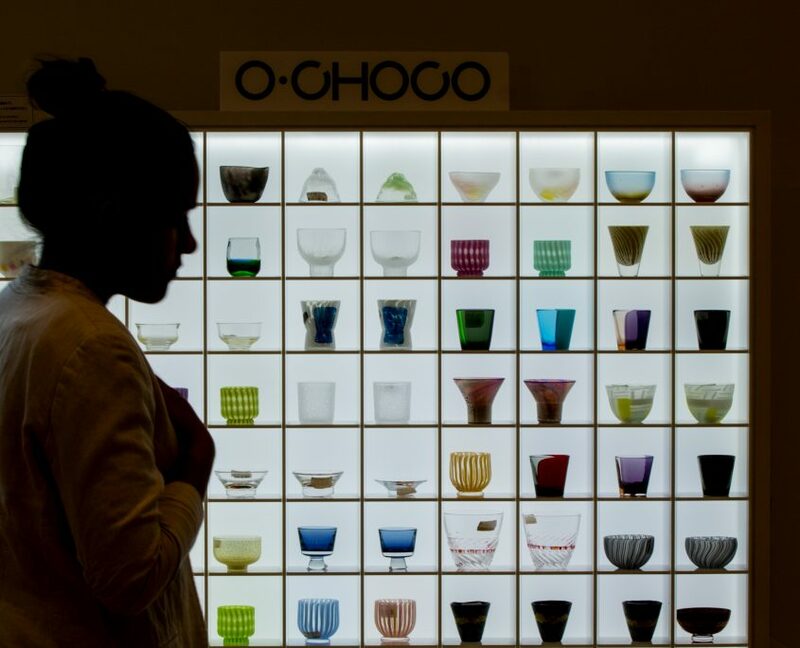 Plans to enhance the arts and cultural experience for tourists are intended to promote Japan’s unique culture to the world. “While Tokyo struggles to build a $2-billion stadium and Pyeongchang (host city for the 2018 Winter Olympics) plans to demolish its $109-million stadium, Los Angeles holds less burden because many facilities from previous Olympic Games remain in operation and can be reused for the 2028 Olympics,” Kim said. 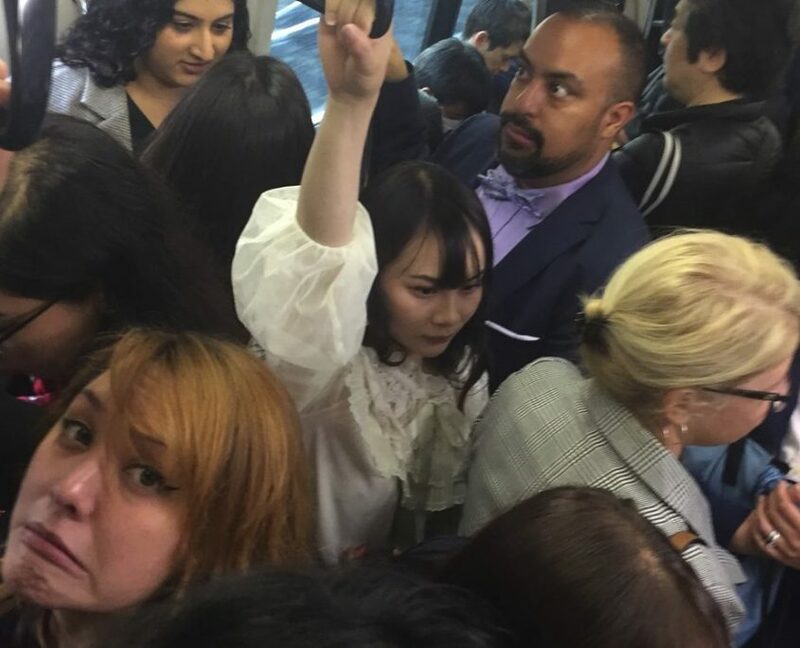 New public transportation routes being added in Los Angeles prior to the Olympics can follow the model of Japan and serve as an opportunity to provide better access to public transit for the city’s residents. This story is based on personal observations of the author and the recollections of student participants, most of which are documented in a summary book that is available for viewing and download here. To see additional photos, check out the Japan Trip 2018 album on Flickr. 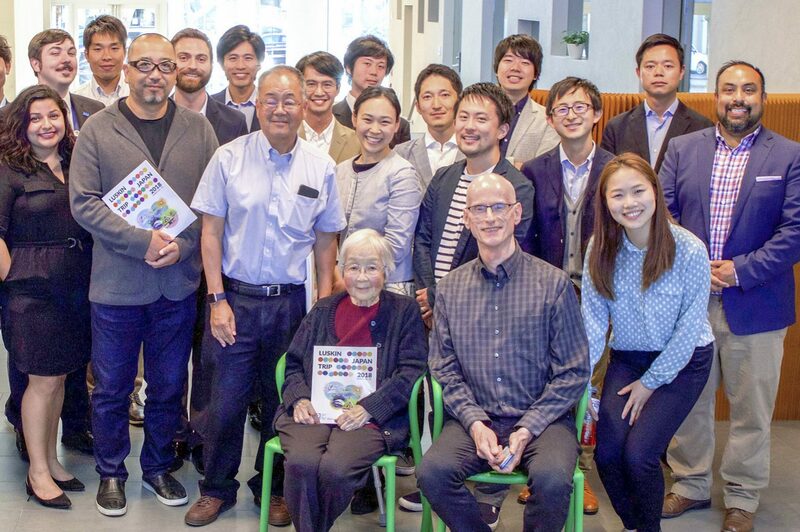 Planning for the annual UCLA Luskin spring break trip to Japan actually began the summer before, and the project did not wrap up until mid-May, when student organizers presented their research findings and observations to funding partners at the Terasaki Research Foundation in Westwood.